Mobile phones have become ubiquitous today. Almost everyone in the developed and developing countries, whether they are a school-goer, a salaried professional, or even elderly, has one type of smartphone or the other. However, do you know there are many ways to enhance your mobile experience? It's good that most phones offer a slew of security features to protect your privacy. However, when you are at home i.e. in a safe space, then it can be annoying to unlock your device whenever it's in the standby mode. This problem can be easily solved with Google Smart Lock. You can set up Trusted Places of the smart lock so that when you are in select locations (home, office, etc.) then the phone remains unlocked for a certain period. 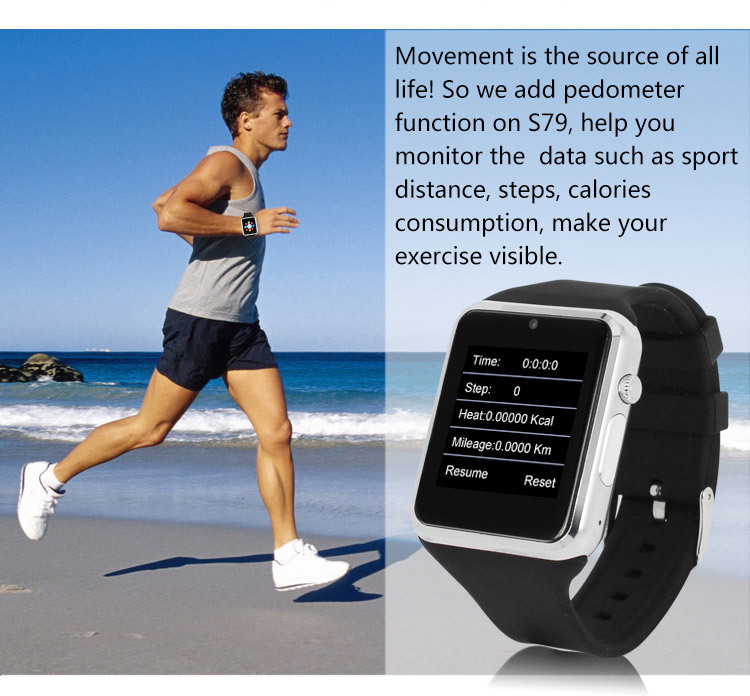 It can track your location with the GPS sensor and unlock the device automatically when it detects the locations set by you. This feature keeps the phone unlocked as long as it's in your hands or pockets. However, as soon as you put the phone down, it gets locked instantly. 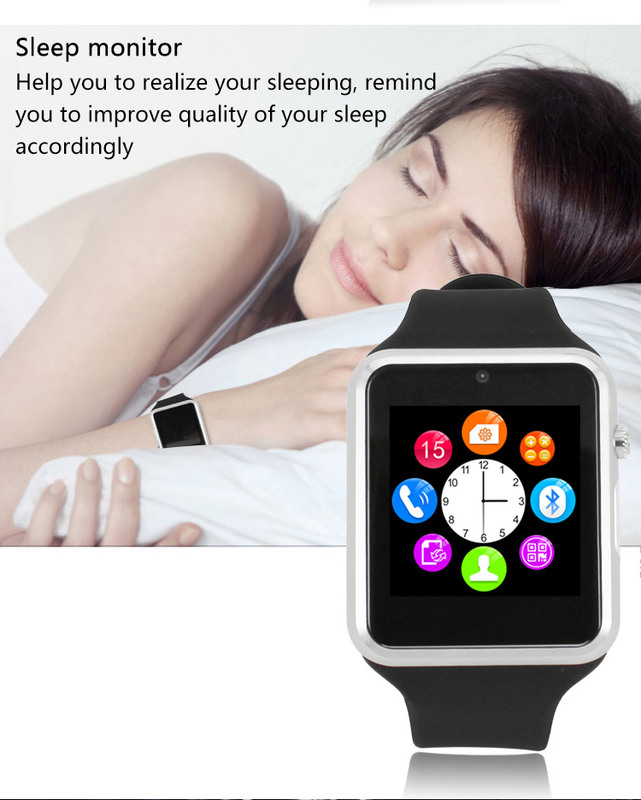 You can also link a Bluetooth device such as a Bluetooth speaker, smartwatch, etc. to your smartphone so that when it detects the device it understands that you are in a "safe zone" and unlocks the device as long as you are in the vicinity of the device. There are many other ways to set up Smart Lock. To learn how to turn it on/off the in your Android device, go here. It's not uncommon for people to fill their mobiles with all kinds of games and apps. However, this constant addition of new applications over time can greatly affect your phone's performance. To solve this problem, you can use a utility app like Power Clean that can optimize your device. Power Clean offers a number of features that help to make your phone run faster and create space for new apps and files in a matter of seconds. 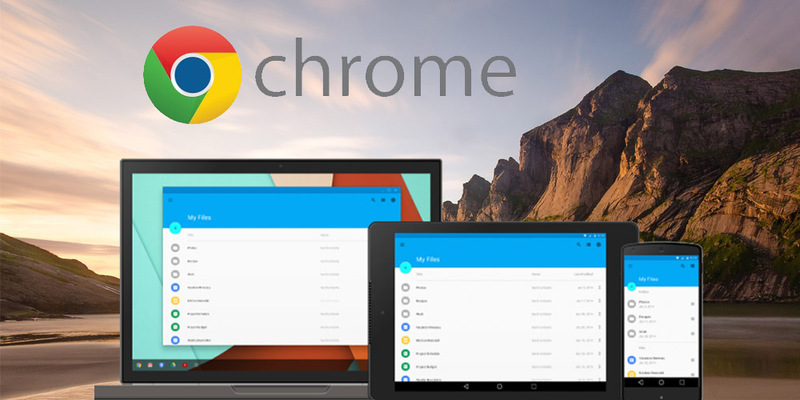 With its "one tap" feature, you can remove obsolete APK files, cache data, unwanted apps, junk photos and more. If can also be used for increasing the free available RAM or removing viruses. 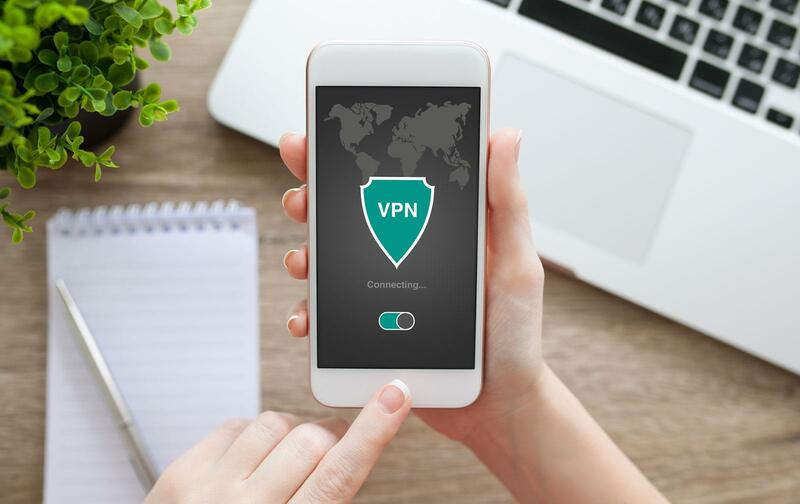 A VPN (Virtual Private Network) is a connection method that sets up a virtual tunnel between your mobile and the services you access on the Internet. So, any information that's exchanged between you and the websites you visit are hidden from your ISP and potential hackers that may try to tap into the communication channel. You can enjoy a high level of security and privacy whether you are using your phone with your home wifi or a public hotspot. 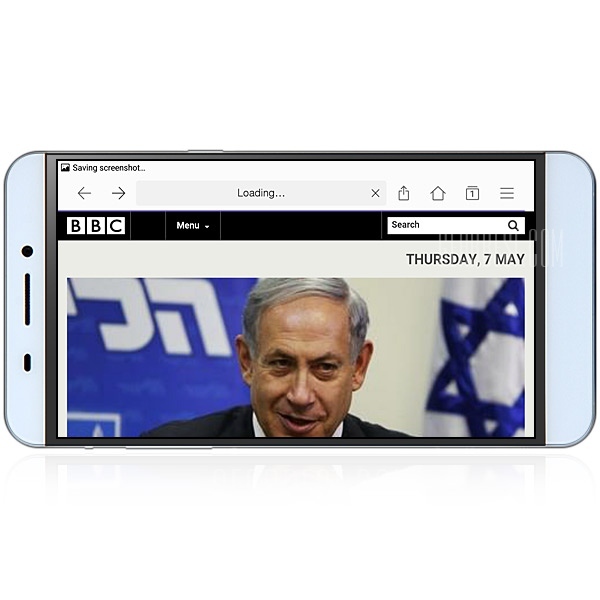 You can unlock geo-restricted content such as Hulu, BBC Radio etc. as the service allows you to access these websites through remote servers. If your Internet Service Provider (ISP) has throttled your bandwidth, then a VPN service can increase your Internet speed too. There are a variety of VPN services that you can use for your mobile such as TunnelBear, NordVPN, ExpressVPN, etc. However, you may want to learn how VPN works exactly so that you know how to pick the right VPN for your needs. Although the developer options in smartphones are meant for software professionals, general users can also use them to enhance their experience. However, you need to enable these options first as they aren't accessible by default. 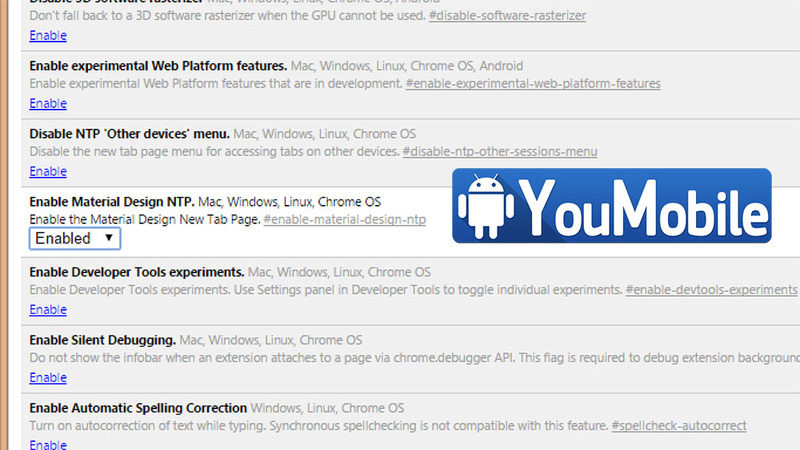 If you are using an android phone, then enabling developer options is quite simple. Just go to Settings > About phone or Settings > System > About phone, look for build number, and tap it several times (usually 7) until it notifies you that you have become a developer. Doing the same on an iPhone is slightly more complicated but you can still learn it here. Background process limit: This option lets you limit the number of apps that can run in the background at the same time. The default number is usually 4-5. However, you can set it to zero so that every time you close an app, it's terminated rather than moved to the background where it continues to run. This can greatly improve the performance of your device. Aggressive data handover: Activating this option makes your wi-fi more "aggressive" in handing over the data connection to mobile. So, whenever the wi-fi signal gets low, it hands over the connection to your mobile data instantly. This way, you can surf the Internet without any lags. Force 4X MSAA: If you want to take your mobile gaming experience to the next level, then you can enable the Force 4X MSAA option. It lets you enjoy better quality graphics in a variety of games and OpenGL ES 2.0 applications. However, bear in mind that it increases the battery consumption too. If you are a business owner who has to accept credit/debit card payments from customers frequently, then you don't need to invest in a POS terminal for that. 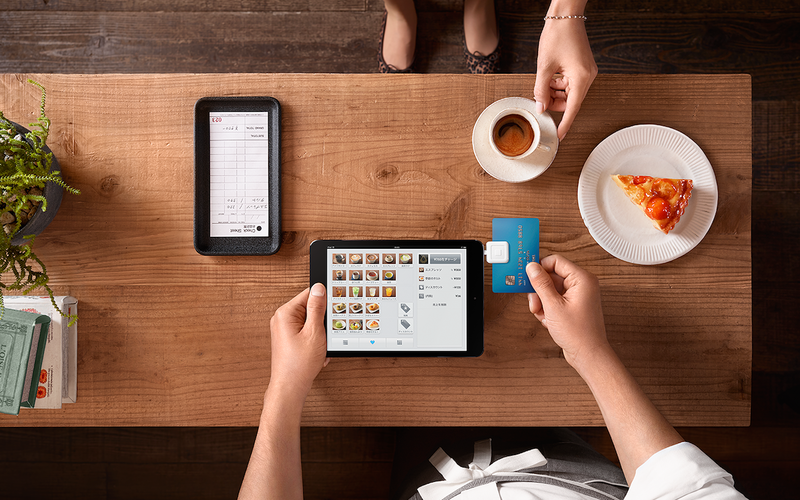 Square Register is a unique payment service that allows you to convert your standard smartphone into a POS device by using a special dongle called Square Reader. 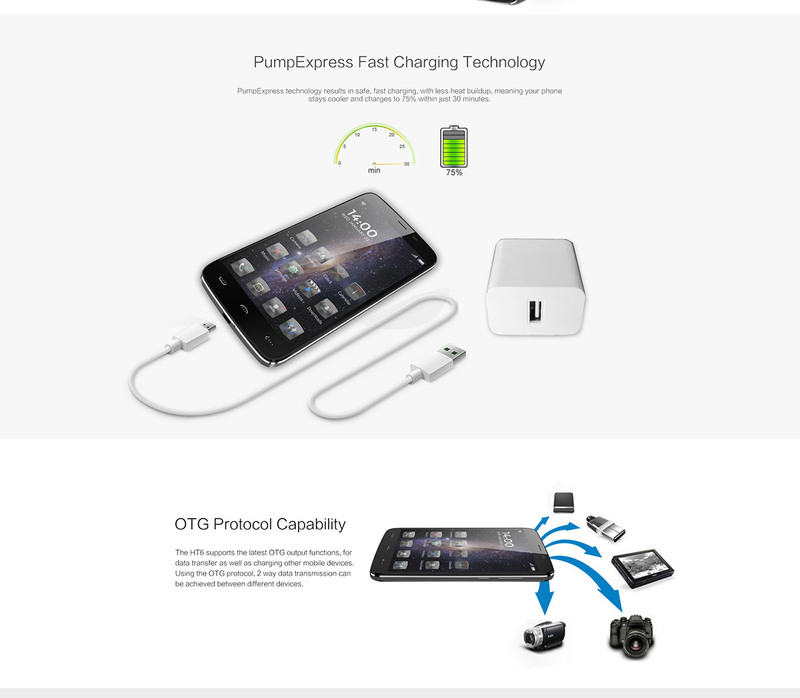 It's an innovative card-swipe dongle that plugs into your phone's audio jack. It's easy to use, and available for both iOS and Android devices. So, these were some of the less-known tips and tricks that can help you enjoy your mobile even more. Which one are you going to try first? 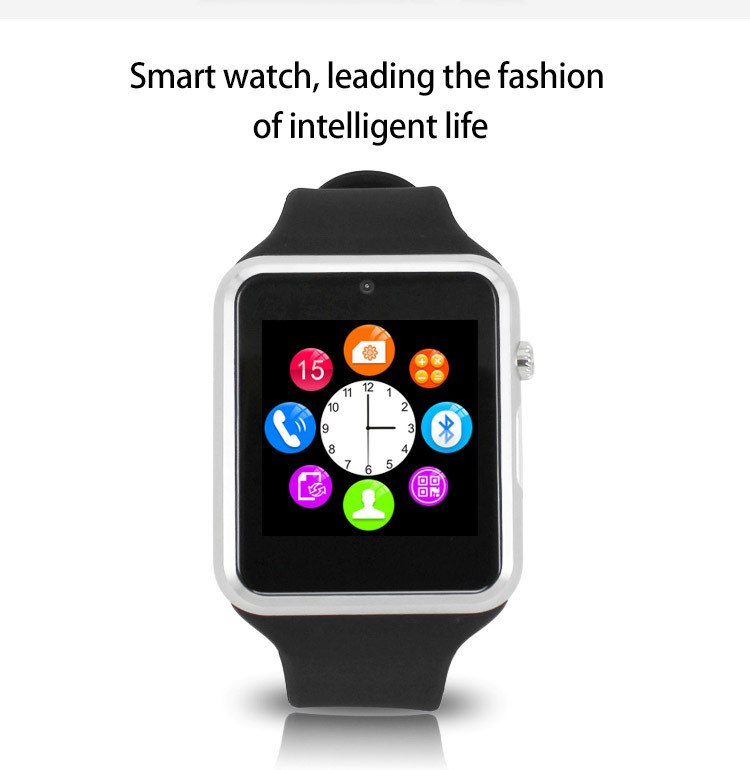 As the love for smart watches increasing day by day, manufacturers are making new gadgets to attract them.The ZGPAX S79 Bluetooth Smartwatch is one of them trying to attract buyers looking for only $25 dollars at Gearbest. 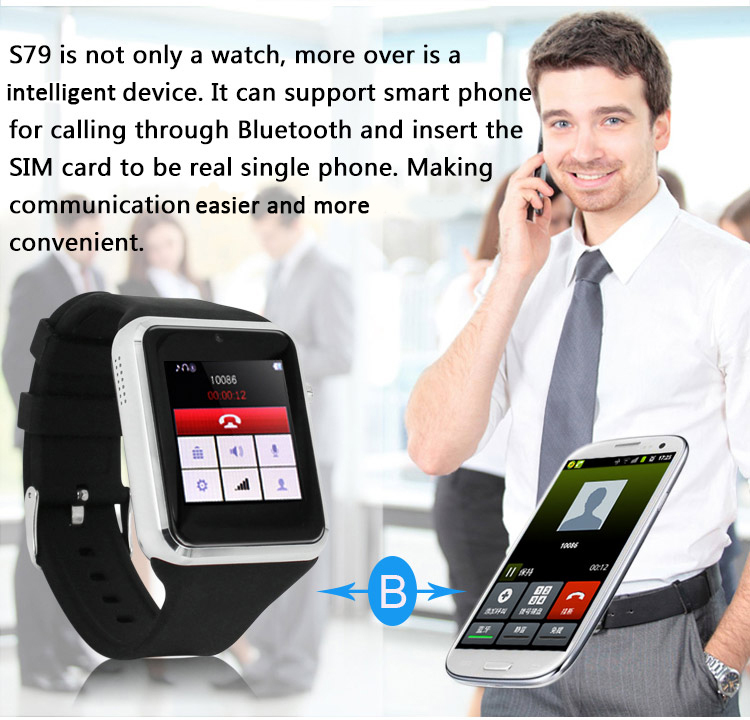 ZGPAX S79 Bluetooth Smartwatch features a 1.54-inch Capacitive display having a resolution of 240 x 240 -pixels.The product is very light as it only weight around 0.060 kg.It comes with a high-quality rubber band.The watch is actually bundled in a stainless-steel chassis, that makes it resistant to random drops while giving it an elegant edge. 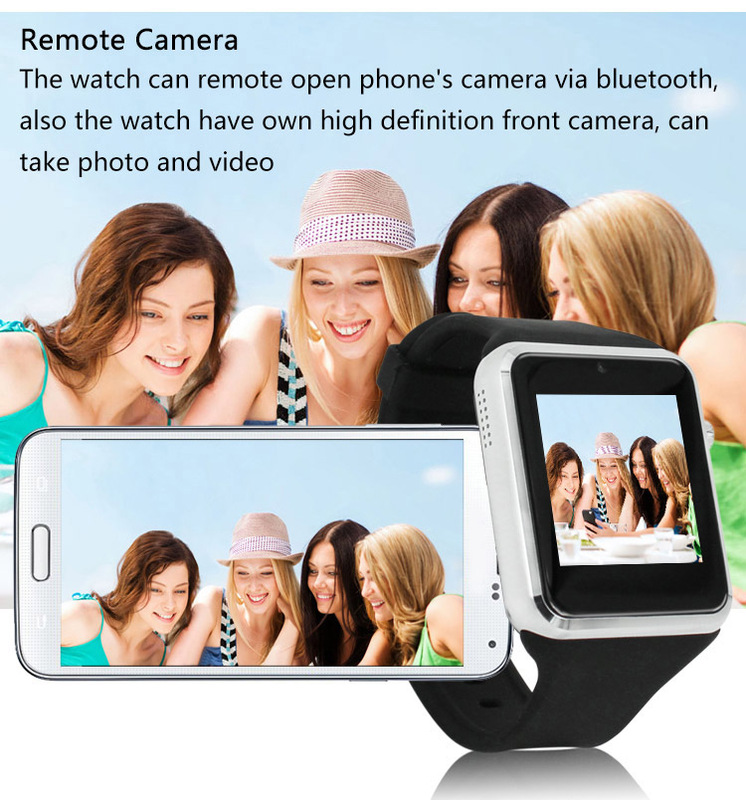 This smart watch is very stylish and trendy in looking. The design is kept round in edges. 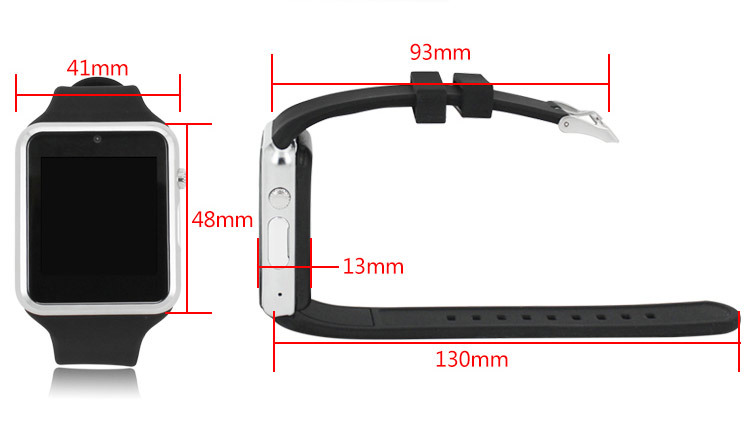 The case of the smart watch is made up of stainless steel and the band is made up of high quality rubber band which is soft and comfortable in wearing. 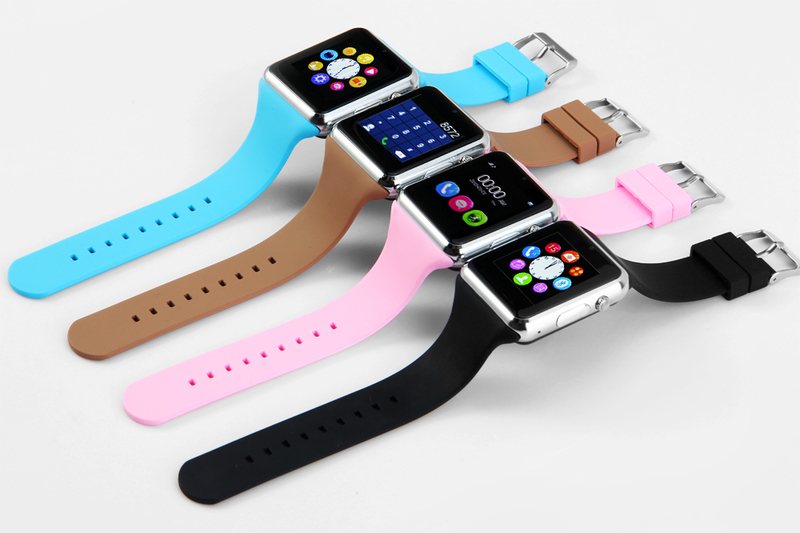 There are six color options you will get for this watch. The colors are black, pink, blue, chocolate, golden and titanium grey. That means in respective of colors both Boys and Girls can enjoy this watch. 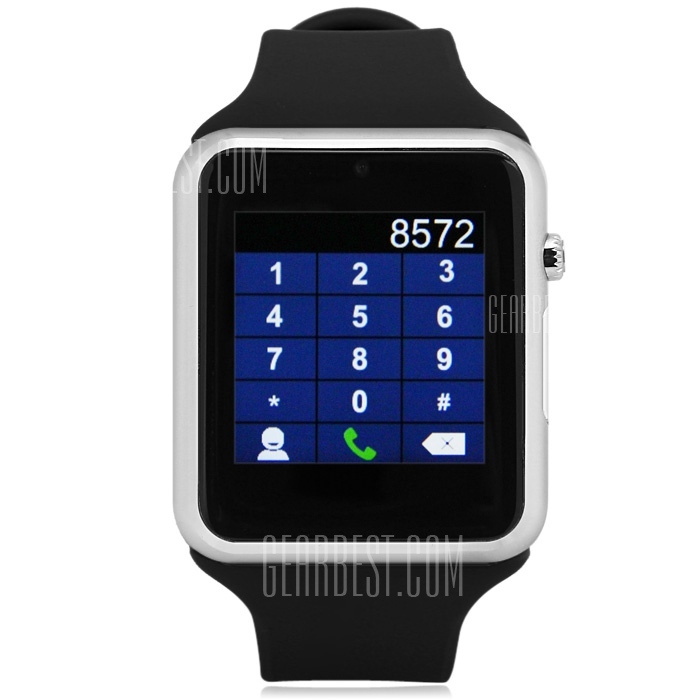 You can order the ZGPAX S79 Bluetooth Smartwatch Phone on GearBest for $25.74 from HERE, limited quantity available. 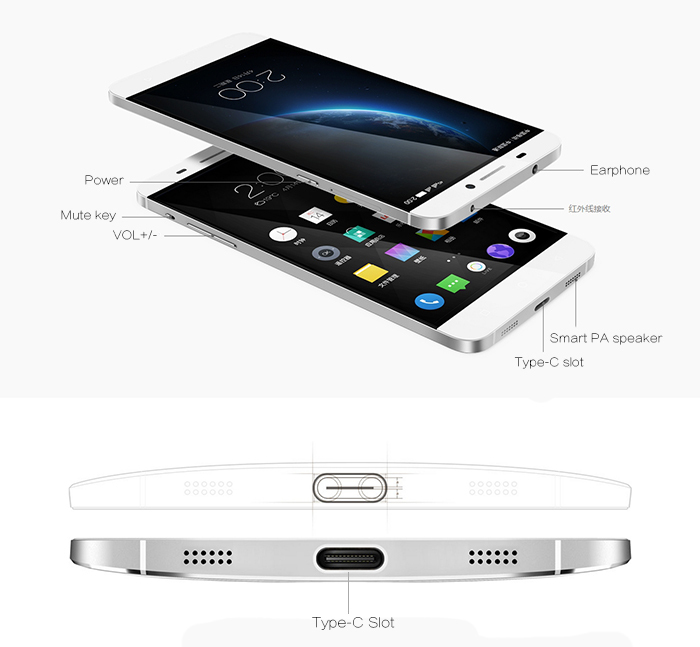 Mo Versi, HTC's Vice President of product management delivered the news in a dedicated post. 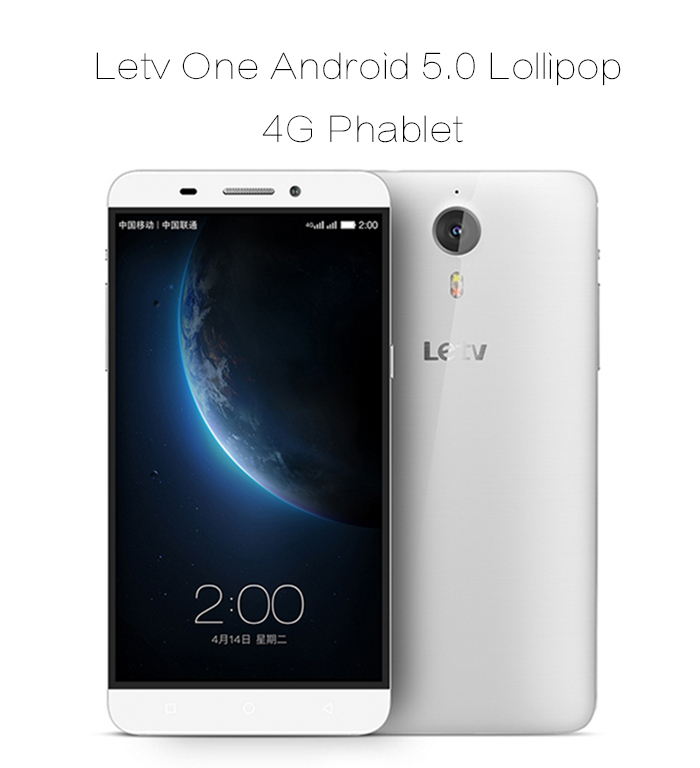 The delay is caused by issues Android 5.0 initially contained, which were subsequently fixed by Google with minor updates. 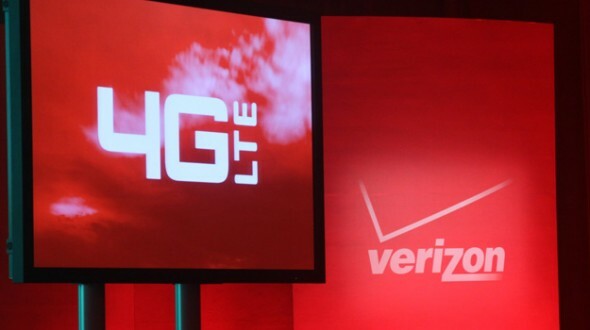 HTC is working hard with Google and its carrier partners to incorporate the latter into its OS build. 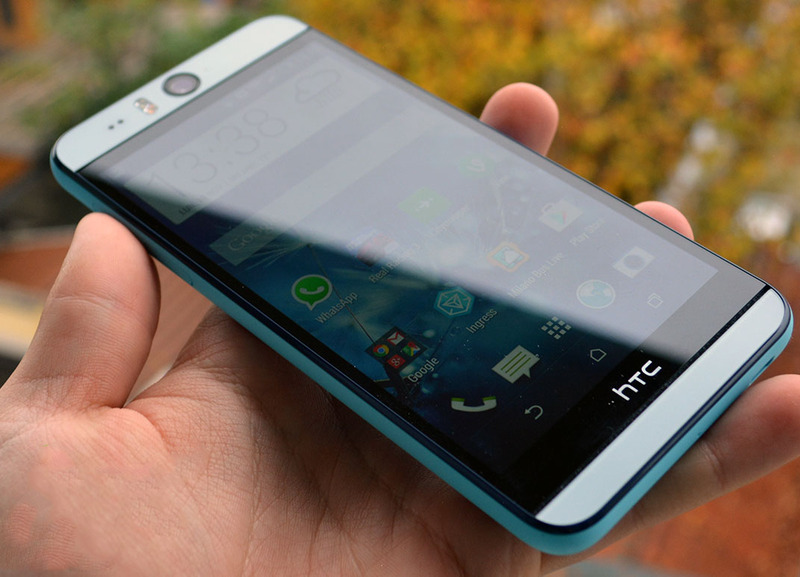 HTC already updated several versions of the One M8. 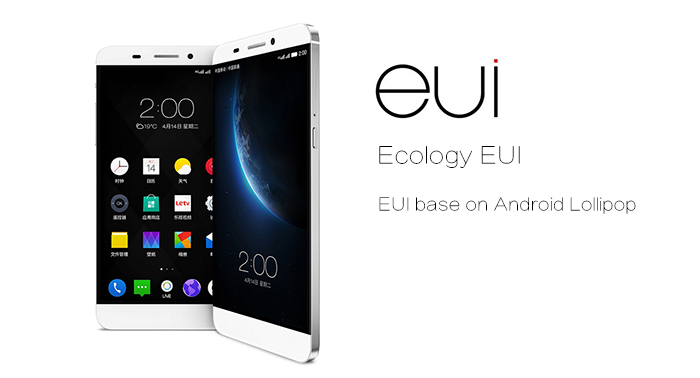 They include the factory unlocked model, the Developer Edition, and the Google Play variant. Mo Versi promises "good news to share soon" on the rest of the One family. Many of the HTC One M8 users are waiting on fire for the New Sense 7.0 UI to hit their devices. 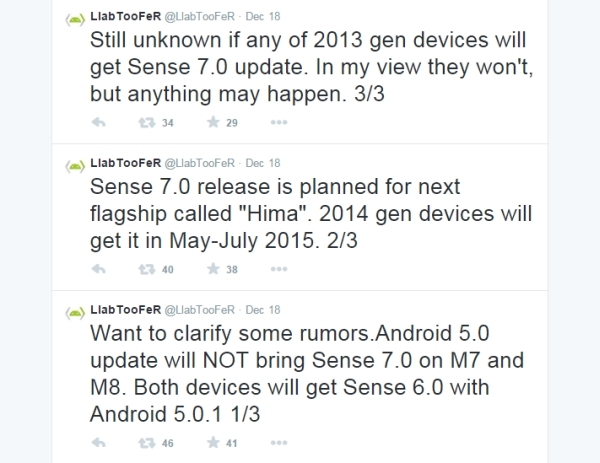 Today, we have some good news for HTC users worldwide, HTC ROM developer @LlabTooFeR (trusted for HTC news) just tweeted some that Sense 7.0 UI will come with Android 5.1 Lollipop Update to the HTC One M8, One M8s, Desire Eye, Butterfly 2 and some other devices. Non of the current devices will get Android 5.0.2 + Sense 7.0 (except M9)...Sense 7.0 become available with Android 5.1 only on some models. According to the source, the Android 5.0.2 update for HTC won't pack the Sense 7.0 UI like what's on the HTC One M9 currently. 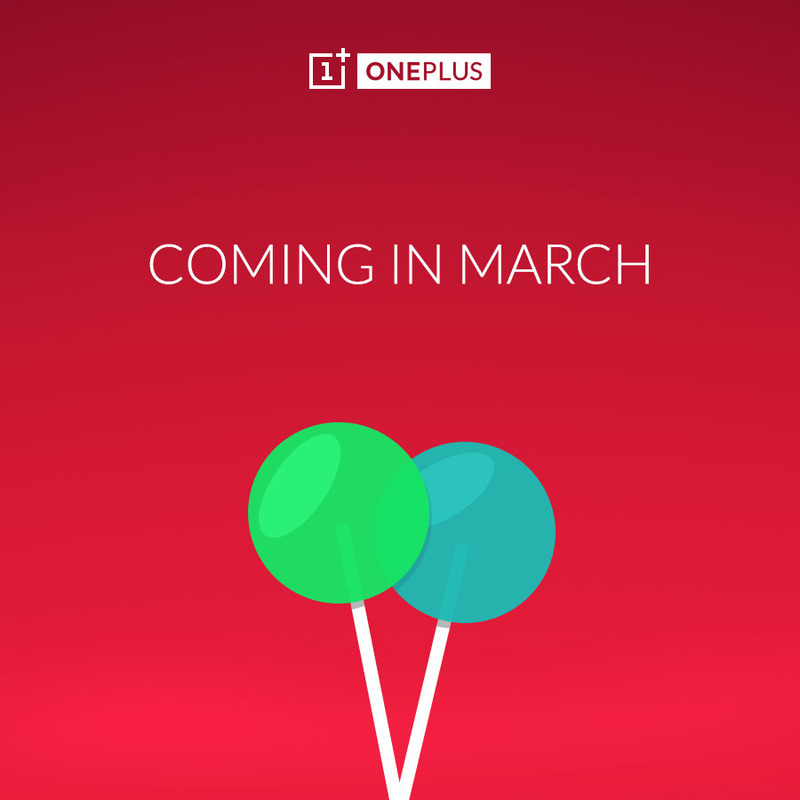 This means that current M8 users will have to wait a while for 5.1 Lollipop update to enjoy the New Sense 7.0 UI. 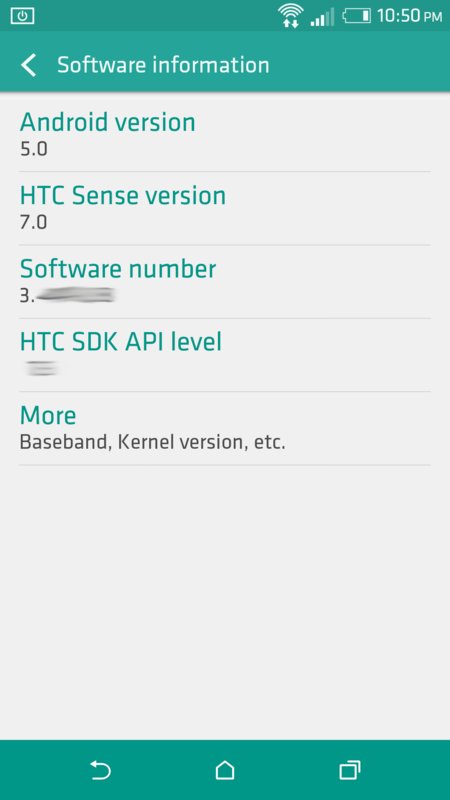 As for the HTC One M7, it's not clear yet if it will get updated to Sense 7.0 UI or not. 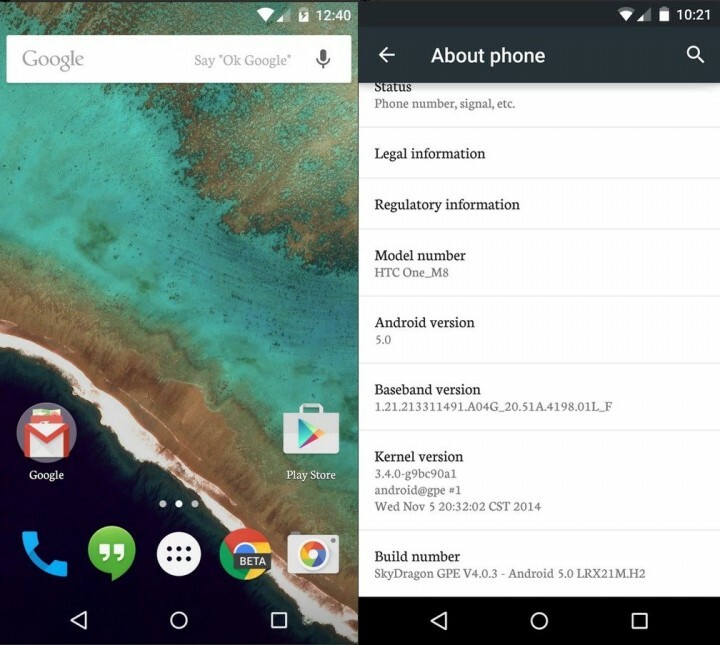 The 2 years old flagship already received the 5.0.1 Lollipop update with Sense 6.0 UI earlier this year. Hopefully, HTC won't forget its loyal "One" users. 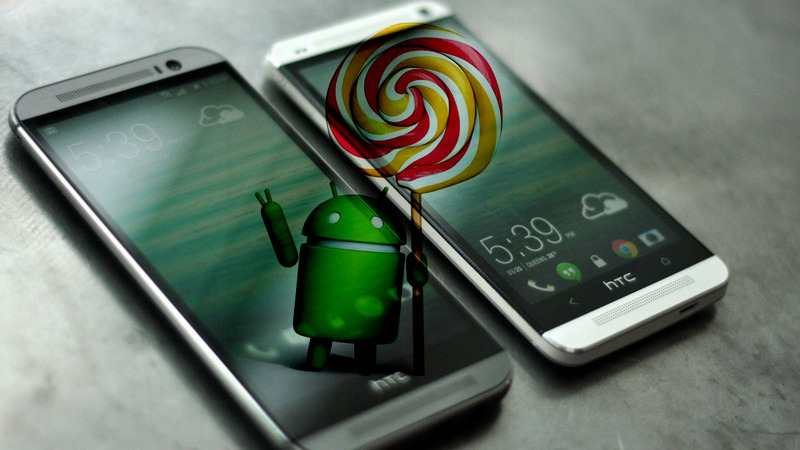 Great News for M8 users... HTC UK has just officially confirmed that the company's previous flagship device, HTC One M8, will get the Official Android 5.1 Lollipop Update with Sense 7.0 UI in August,2015 which is only 4 months away. HTC UK made this announcement regarding the unlocked variant of the HTC One (M8) via its official twitter account. 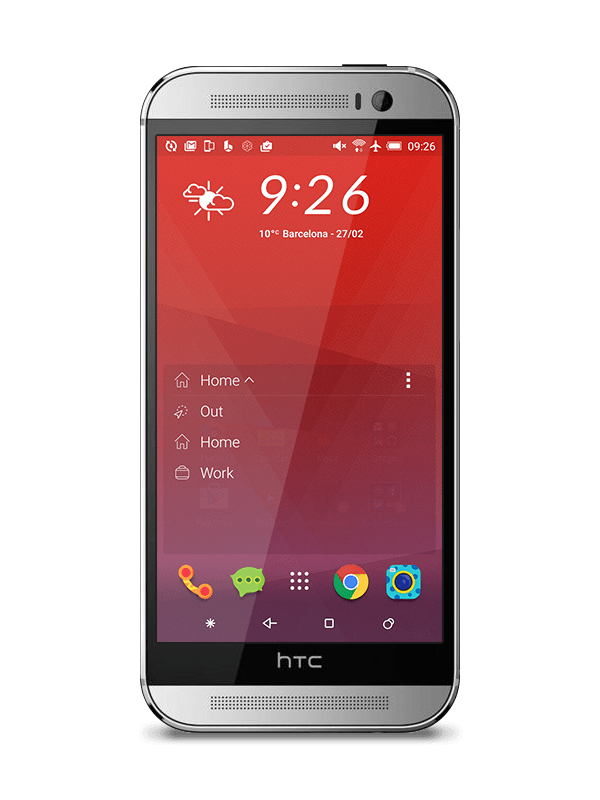 After this update the device will pack the same exact HTC One (M9) User Interface which includes major improvements is that you can change the grip app switcher to stock Lollipop style. App reshuffling, some new widgets, BlinkFeed updates and other changes are also part of the update. I heard you all on M7 5.1 for Carrier versions. Many of the fixes are already in our current SW, but understand your concerns. Stay tuned. In other hands, HTC product manager "Mo Versi" has also confirmed via his own twitter account that Android 5.1 Lollipop update for the company's first one flagship, HTC One (M7) too. 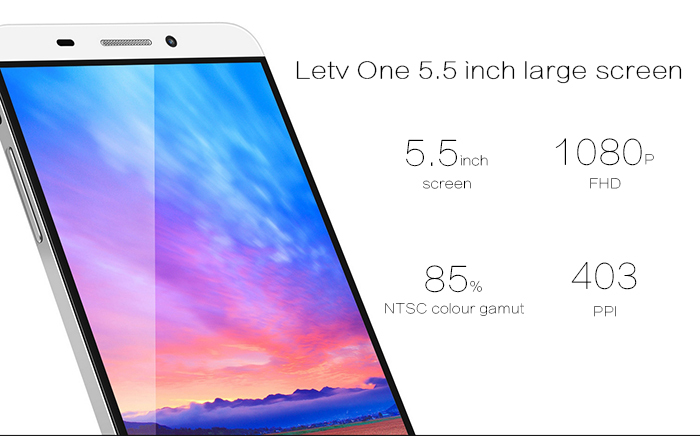 It's not clear if the 3-years old device will get Sense 7.0 UI along with the new Lollipop build or not. While the HTC Desire EYE already received its Android Lollipop update outside of the US, the handset's version that AT&T is selling is still running Android KitKat. Fortunately, HTC and AT&T are now ready to update the phone. According to HTC VP of Product Management Mo Versi, AT&T's HTC Desire EYE should be updated to Android Lollipop starting today, June 30. 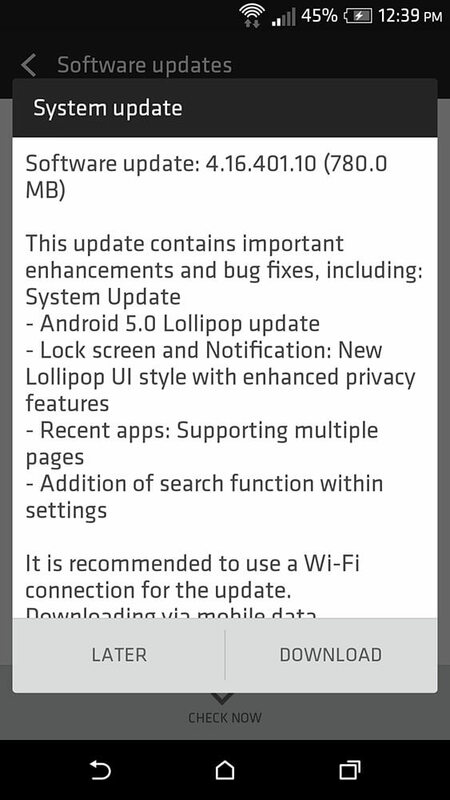 Mind you, the update brings Android 5.0 Lollipop with Sense 6.0 UI, but it's still going to include various changes and enhancements. For now, it doesn't look like the update is live, but some AT&T Desire EYE owners should get it over the air before the end of the day. Today's businesses tend to develop advanced loyalty programs. A client gets rewards for buying a product or a service. The same happens in the banking industry. 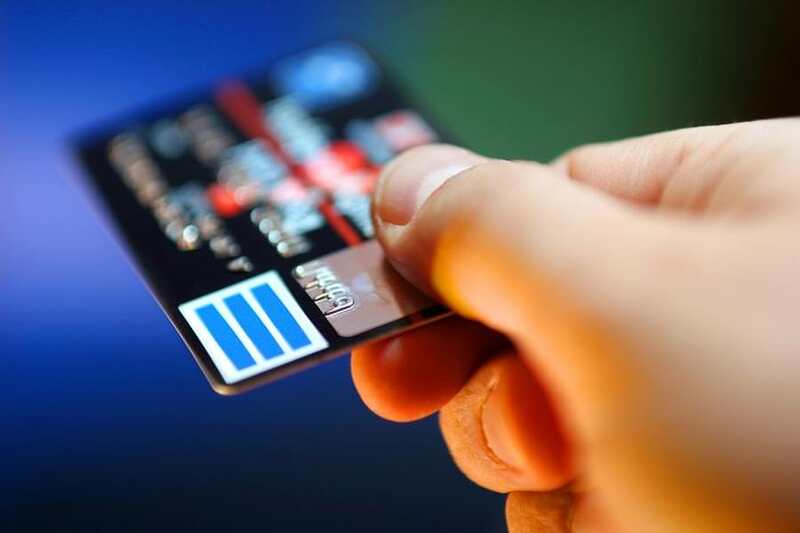 Bank purpose numerous rewards for owners of travel credit cards. When a person opens a bank travel card he gets points as he spends. It is good to accumulate point. For many miles, you can get a big reduction on a price of an airline ticket. You can read more information about best travel rewards credit card form numerous online resources. ● Enter into a system the place of your departure and final destination. You also have indicated if you have any points accumulated. Travel credit card issuer will give you such information. ● Get a flight comparison. A system will propose many flight propositions. You can get around 20 flight offers from various airlines. You will also get information on how many rewards you can redeem and how many rewards you can earn. ● You can choose an option you find relevant. You will then have a possibility to buy a ticket for a discounted price. These are simple steps to take. Using such a comparison tool, you will have a possibility to choose the best flight option. As you spend money from a travel card, a bank gives you miles. They are calculated in points equivalent. A certain amount of points has concrete dollar equivalent. When you decide to buy a travel ticket you can transfer your reward and compensate ticket price. To do it you have to register on websites that propose miles transfer service. In the United States of America travelers usually use Chase travel card. To collect miles from this plastic you have to use Chase Ultimate Rewards program. After you open an account on the website you will be able to see the number of points you accumulated. You can redeem points when you find it necessary. You have to click ‘Transfer points' and choose airline miles should go to. A system will evaluate your request and calculate a final ticket price for you. Another program that proposes to transfer points is called Starwood Preferred Guest Points. It is a unique program. It helps you to accumulate points as you make a transfer of the miles. You earn as you spend your miles. In today's world, there are many ways to economize. Take an advantage of it. Choose a program that will help you to earn most of the miles. 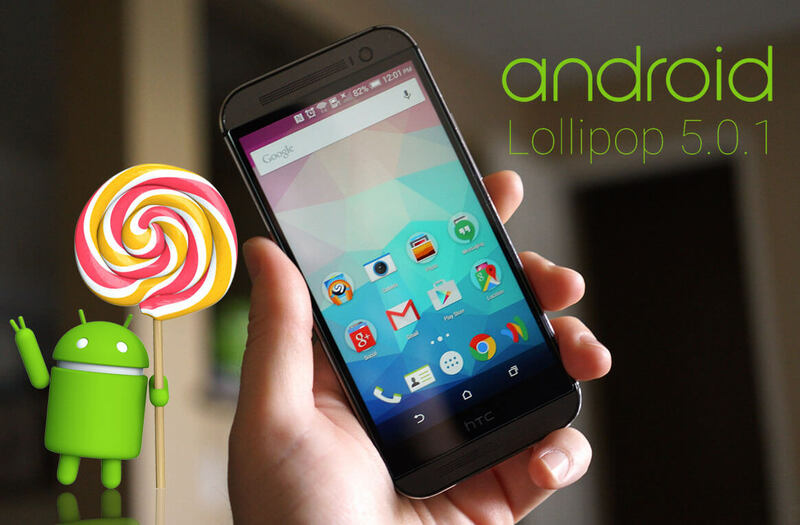 If you own an HTC One M8 or One M7 Google Play Edition, you'll get your Lollipop treat very soon. 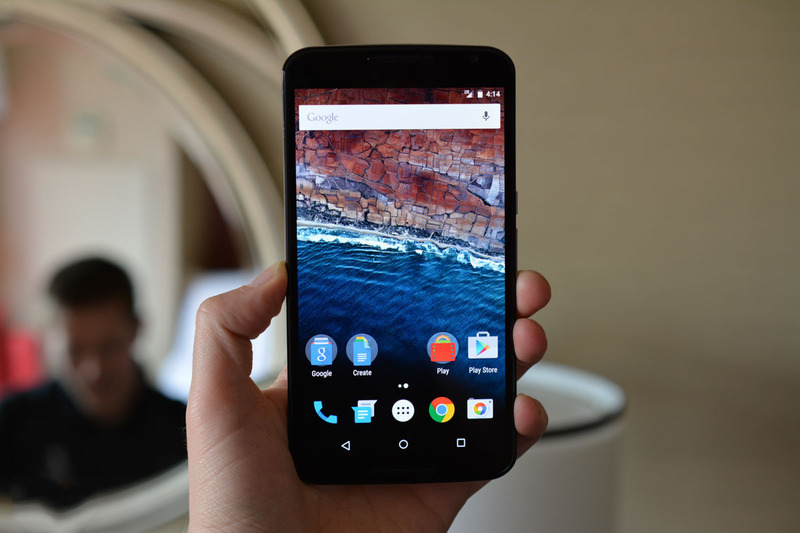 Google is already rolling-out Android 5.0 Lollipop updates to its Nexus line-up right now. 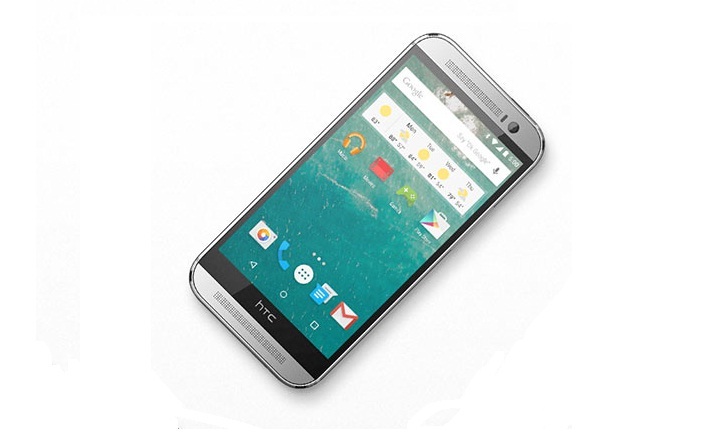 HTC already got the source code of the Lollipop earlier this month, regular HTC One devices will get the update by Feb,2015 and GPE is during this month. According to a new Tweet from an HTC's Rep, they ran into a small problem but they are still targeting to a Friday release. 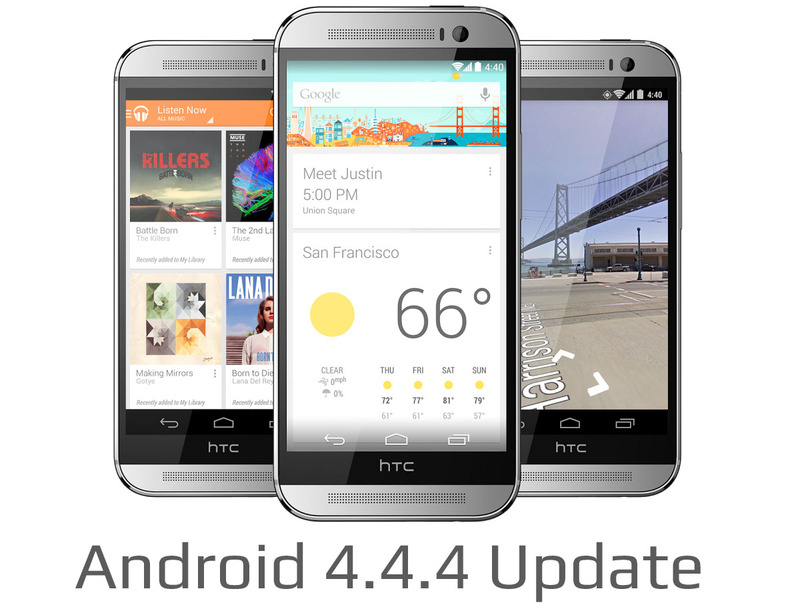 So, if you have an HTC One M8 GPE or M7 GPE you should get the update by the Eend of this week. HTC announced the Eye Experience software two days ago, the first device to pack these features is the HTC Desire Eye. 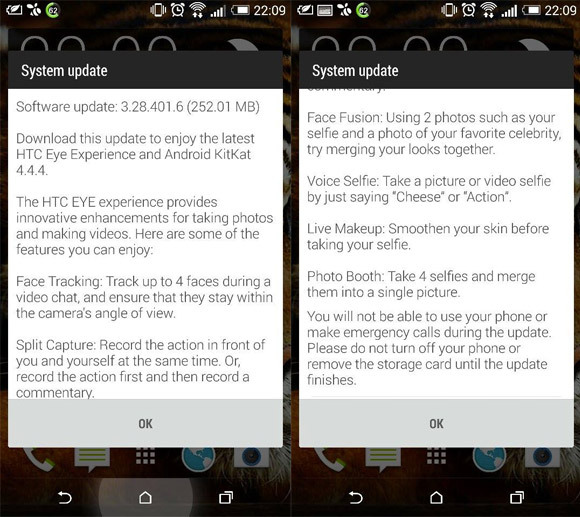 The Eye Experience is also coming to the HTC One M8 alongside Android 4.4.4 KitKat, which also contains some security fixes. The Eye Experience improves the One M8 camera software with some cool features mostly involving the front-facing camera. You can now track up to 4 faces during video chat and ensure they're within the camera's view angle thanks to Face Tracking. 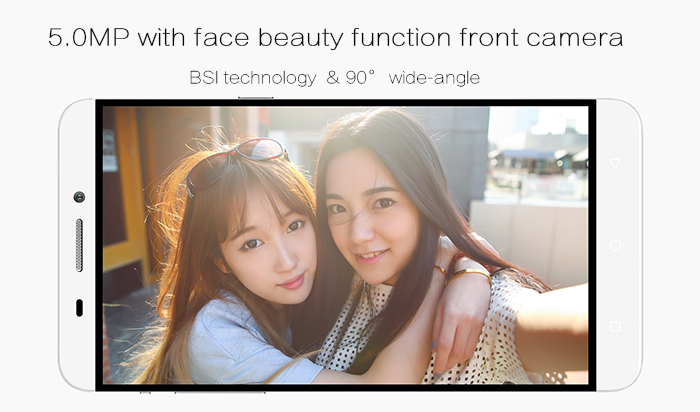 It is followed by the Split capture feature that lets you use the front-facing and rear camera simultaneously. The M8 firmware version of the update is 3.28.401.6 and weighs 252.01MB. 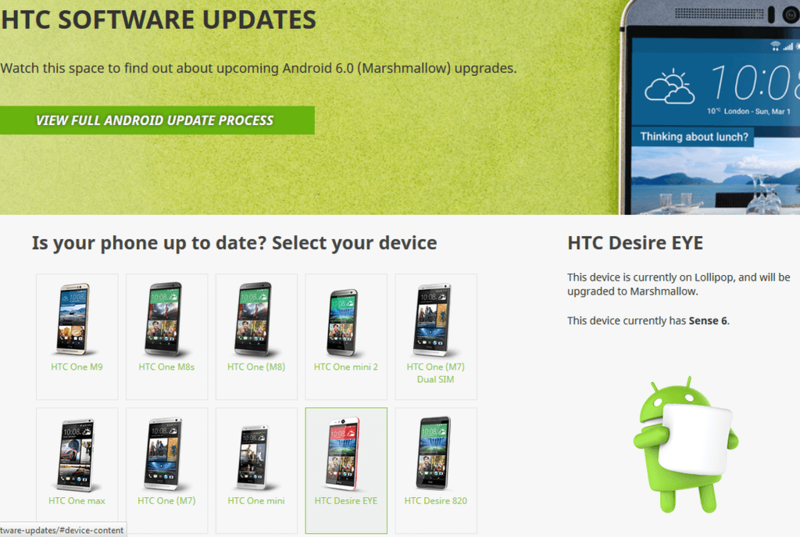 Currently, HTC is slowly seeding the update for unlocked One M8 units in Europe, but other markets should follow shortly. 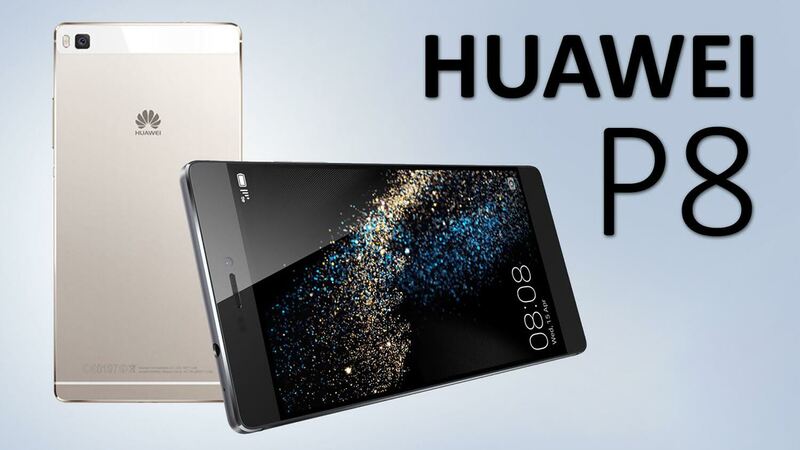 Tags: things get ultimate mobile experience get doogee homtom ht6 phablet only $139.99 here's how get google chrome desktop materiel design ntp get letv one x600 mtk helio x10 64bit with 5.5 inch phablet $272.05 only get huawei gra smartphone only 449usd get zgpax s79 bluetooth smartwatch phone $25.74 google android get preview releases before final official release 2015 htc desire eye confirmed get official android 6.0 marshmallow update other htc one family members get lollipop update later than expected htc one desire eye get android 5.1 lollipop update with sense 7.0 htc confirms: one get android 5.1 update with sense august htc desire eye get android 5.0 lollipop starting today htc confirms: one get official android update htc one get officially sense 7.0 with android update instead 5.1.1 lollipop verizon's grandfathered unlimited data plans get $20 increase per month [eta dates] official list confirmed samsung devices get android 6.0 marshmallow updates samsung confirms galaxy ace (sm-g357fz) get android 5.0 lollipop update why beneficial get travel credit card htc one gpe devices get lollipop update this week htc one get sense 7.0 update may 2015 htc one get eye experience with android 4.4.4 kitkat update htc one get sense 6.5 with lollipop 5.0 update late february 2015 want gold-plated samsung galaxy edge? can now get one only $1930! The Samsung Galaxy Note 7 is dead: What should you get instead? Now that the Samsung Galaxy Note 7 is officially discontinued after reports of even the replacement devices catching fire were confirmed, here are a few other options that you can check out instead. Although it's priced less than the Note 7, the S7 Edge isn't really lacking much in comparison. The retina scanner, the stylus (S-pen) and a slightly larger 5.7-inch display are the only things that differentiate the two. In fact, the S7 Edge rocks the same camera sensors, 4GB of RAM, SD 820/Exynos 8890 SoC and 1440p Super AMOLED panel (5.5-inch) as its larger sibling. When it comes to software stability and security, it would be hard to recommend anything over Android's greatest flagship yet; the Google Pixel XL with a 5.5-inch 1440p AMOLED panel. It's also more powerful than the Note 7 with a SD 821 SoC under the hood. 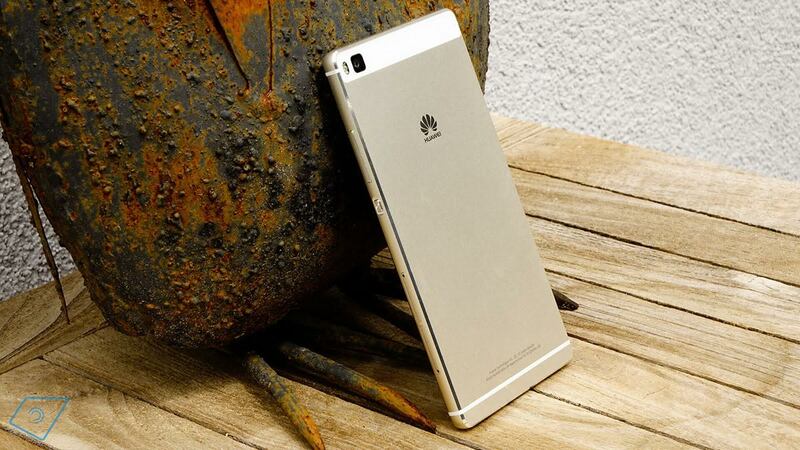 It has exceptional cameras that might simply be the best that any smartphone has offered yet. The final recommendation on this list will include the LG V20, which also has a 5.7-inch 1440p panel like the Note 7, along with an additional 2.1-inch display on top of the main one. We expect nothing short of spectacular clicks from the upcoming device as well (dual rear camera) because LG is well known for endowing its high-end smartphones with brilliant cameras. In case you haven't already, switch your Note 7 off and return it immediately. 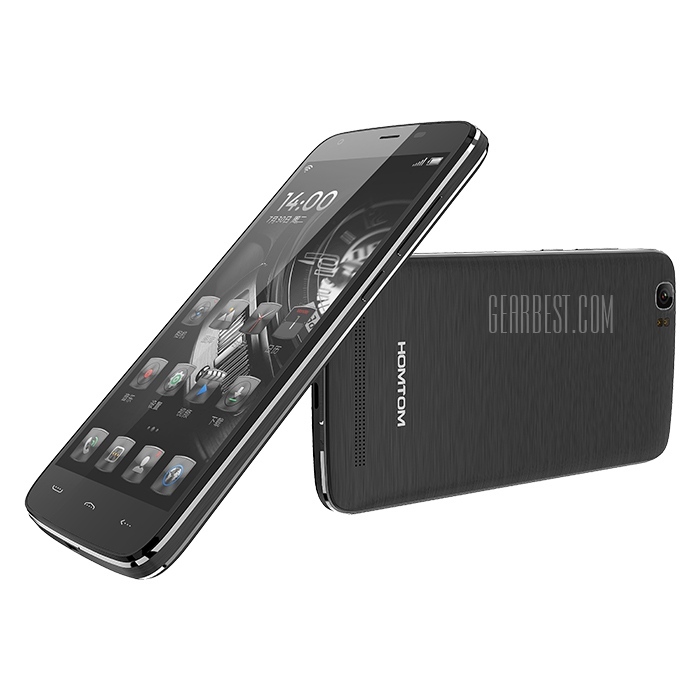 Tags: things get ultimate mobile experience get doogee homtom ht6 phablet only $139.99 here's how get google chrome desktop materiel design ntp get letv one x600 mtk helio x10 64bit with 5.5 inch phablet $272.05 only get huawei gra smartphone only 449usd get zgpax s79 bluetooth smartwatch phone $25.74 google android get preview releases before final official release 2015 htc desire eye confirmed get official android 6.0 marshmallow update other htc one family members get lollipop update later than expected htc one desire eye get android 5.1 lollipop update with sense 7.0 htc confirms: one get android 5.1 update with sense august htc desire eye get android 5.0 lollipop starting today htc confirms: one get official android update htc one get officially sense 7.0 with android update instead 5.1.1 lollipop verizon's grandfathered unlimited data plans get $20 increase per month [eta dates] official list confirmed samsung devices get android 6.0 marshmallow updates samsung confirms galaxy ace (sm-g357fz) get android 5.0 lollipop update why beneficial get travel credit card htc one gpe devices get lollipop update this week htc one get sense 7.0 update may 2015 htc one get eye experience with android 4.4.4 kitkat update htc one get sense 6.5 with lollipop 5.0 update late february 2015 want gold-plated samsung galaxy edge? can now get one only $1930! sprint verizon joins buy one samsung galaxy get another free offer south korea first country get android 6.0.1 samsung galaxy edge samsung galaxy note dead: what should get instead? 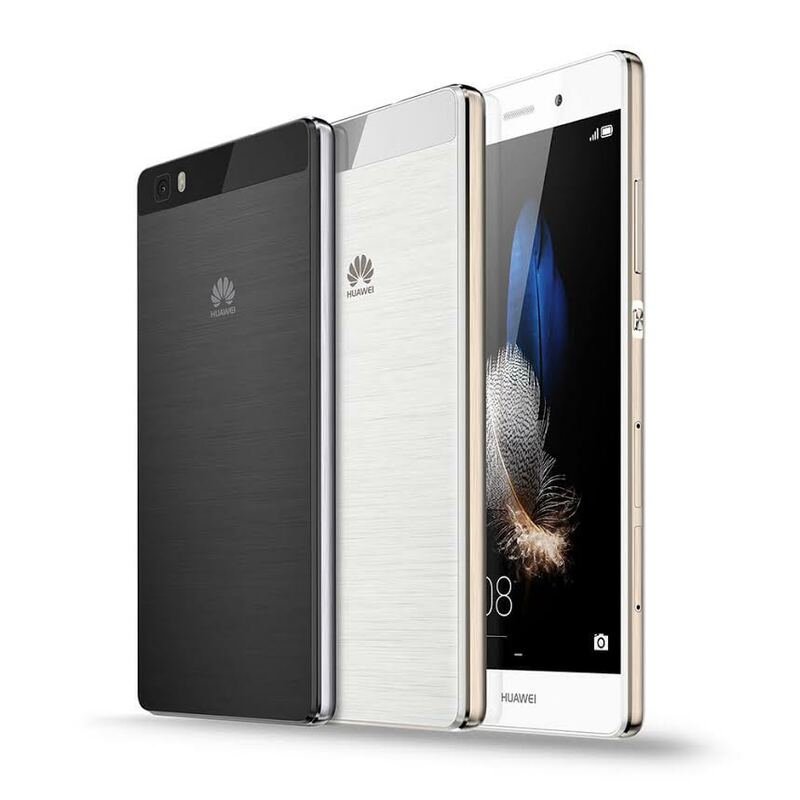 Tags: things get ultimate mobile experience get doogee homtom ht6 phablet only $139.99 here's how get google chrome desktop materiel design ntp get letv one x600 mtk helio x10 64bit with 5.5 inch phablet $272.05 only get huawei gra smartphone only 449usd get zgpax s79 bluetooth smartwatch phone $25.74 google android get preview releases before final official release 2015 htc desire eye confirmed get official android 6.0 marshmallow update other htc one family members get lollipop update later than expected htc one desire eye get android 5.1 lollipop update with sense 7.0 htc confirms: one get android 5.1 update with sense august htc desire eye get android 5.0 lollipop starting today htc confirms: one get official android update htc one get officially sense 7.0 with android update instead 5.1.1 lollipop verizon's grandfathered unlimited data plans get $20 increase per month [eta dates] official list confirmed samsung devices get android 6.0 marshmallow updates samsung confirms galaxy ace (sm-g357fz) get android 5.0 lollipop update why beneficial get travel credit card htc one gpe devices get lollipop update this week htc one get sense 7.0 update may 2015 htc one get eye experience with android 4.4.4 kitkat update htc one get sense 6.5 with lollipop 5.0 update late february 2015 want gold-plated samsung galaxy edge? can now get one only $1930! sprint verizon joins buy one samsung galaxy get another free offer south korea first country get android 6.0.1 samsung galaxy edge samsung galaxy note dead: what should get instead? offer get free galaxy with every samsung suhd buy at&t starts buy one get free offer galaxy edge: kind of! Although most of us were expecting the S8 series to get an upgrade in terms of battery size, it's not happening, according to a report from South Korea, brought forward by The Android Soul. The battery capacity of the regular S8 will remain at 3,000mAh, which is the same as the Lithium ion cell currently powering the Galaxy S7. More surprisingly, the S8 Plus will feature an even smaller 3,500mAh battery than the S7 Edge's 3,600mAh cell. It should be noted that this puts the battery capacity of the S8 Plus at exactly the same size as the ill-fated Galaxy Note 7. The batteries will be manufactured and supplied mainly by Samsung SDI with supplemental supplies from Murata. It is being guessed that Samsung probably opted out of choosing a bigger battery in order to ensure safety. If this news is indeed true and you are worried about battery life on the S8 smartphones, it might help to know that the Qualcomm Snapdragon 835 chip which will be powering the handset is going to be the most power-efficient one yet. Nevertheless, we admit that it is a bit disappointing to know that the batteries are not getting an upgrade. Samsung doesn't follow any set rules while rolling out the security patches and that seems to be a trend which will continue in 2018 as well. 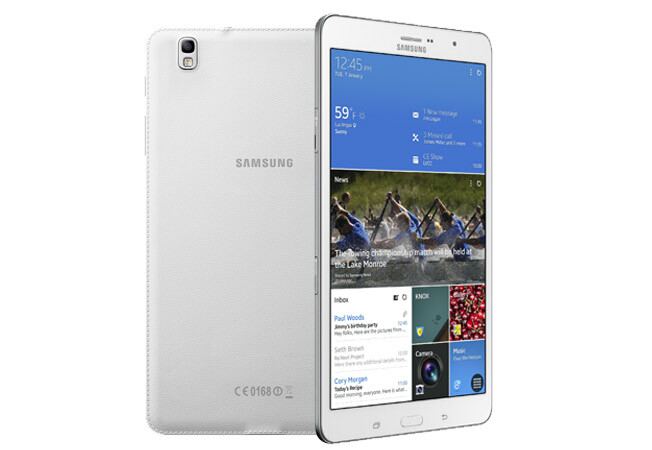 This month, it was the turn of the Galaxy Tab A (2016) to be the first device in the company's arsenal to be updated with the January patch. If you think about it, it's not very often that Samsung rolls out a security patch this early in the month, but nobody's complaining! 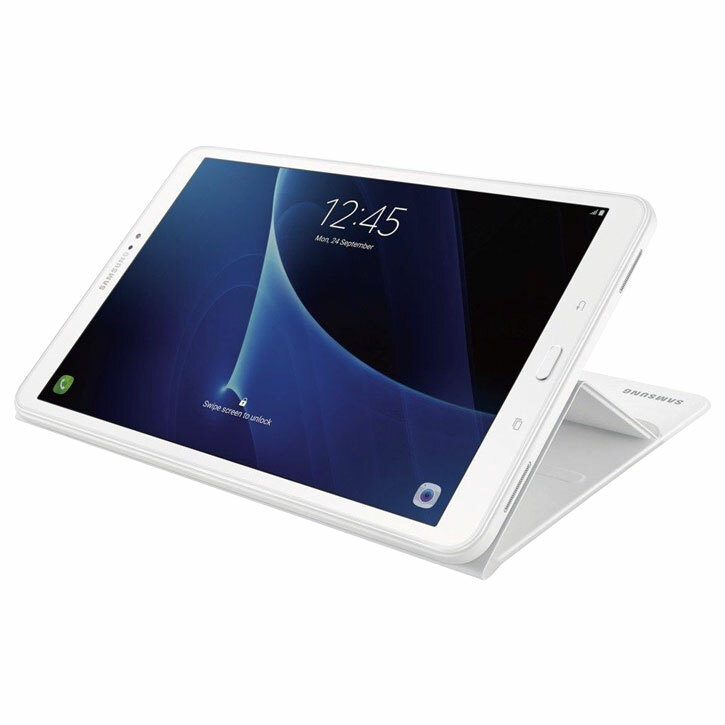 As per reports, firmware version T285DDU0AQL3 is being rolled out to the Galaxy Tab A (2016) aka SM-T285. The even more surprising fact is that the patch has begun rolling out in Bangladesh; a region not known for getting the first updates from Samsung. Given that the old tablet is still running on Android Lollipop 5.1.1, it's both surprising and good to see good that Samsung is still keeping it protected against security threats. Should You Get the Galaxy S10 or the S10 Plus? 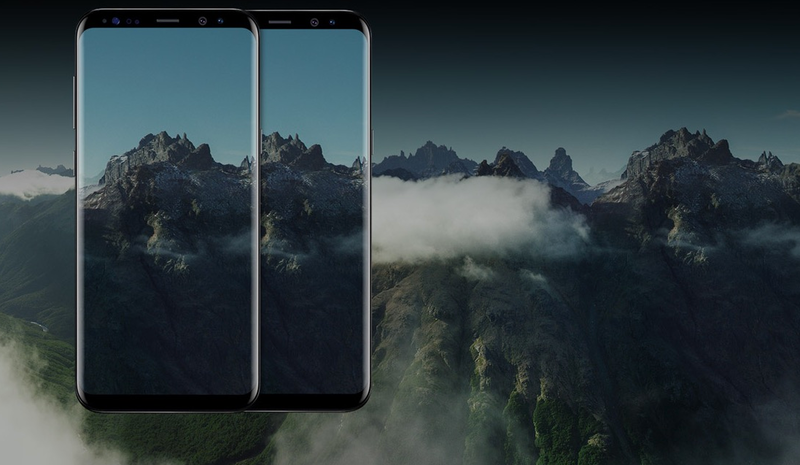 Now that the most anticipated smartphones from Samsung for the first half of the year is finally here, you have three phones to choose from for the first time in the Galaxy S line-up. While the Galaxy S10e is definitely a good way to get into the latest S series, I really doesn't make much sense to me at least! 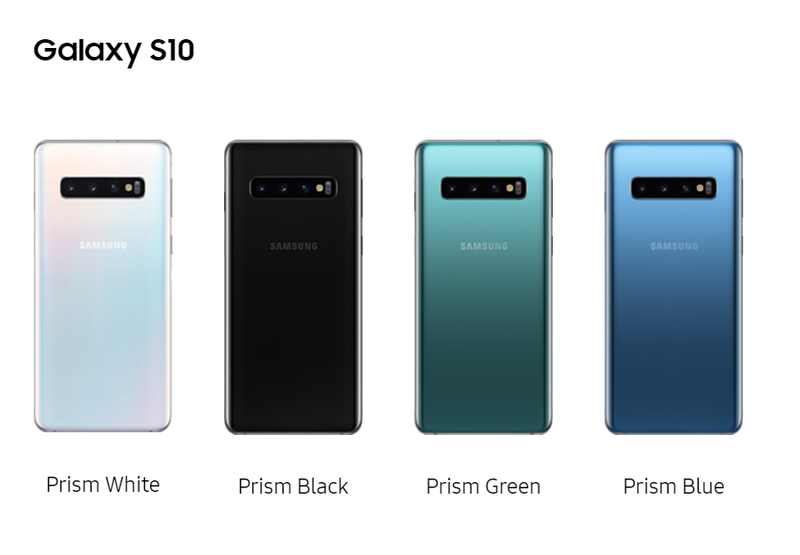 Now, the real competition is of course, in between the Galaxy S10 and the S10 Plus and your choice should depend on what you prefer more. To help you decide, we have provided a brief comparison of the most significant differences below. The S10 and the S10 Plus both have punch holes, but the S10 Plus has a much wider hole on the right upper corner to house the two front cameras, while the regular S10 just has one front camera, and thus a much smaller hole. If you prefer form over function, the S10's punch hole does look a lot less distracting. However, the second front camera on the S10 Plus will allow for better death perception during selfie shots. 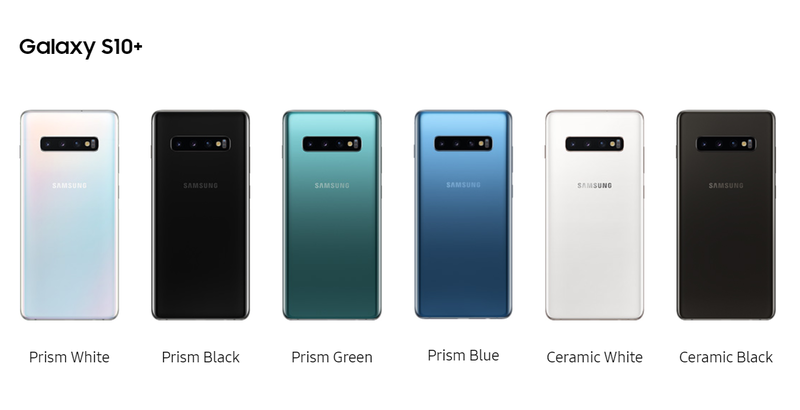 The only difference in the Super AMOLED+ panels with QHD+ resolution and 1200 nits of peak brightness (protected by Gorilla Glass 5) is in screen size as the S10 comes in at 6.1-inch and the S10 Plus at 6.4 inch. Both smartphones are still pocketable, thanks to an almost bezel-less design, so you can go with either, depending on your budget, preference and how much or how less the punch holes bother you. 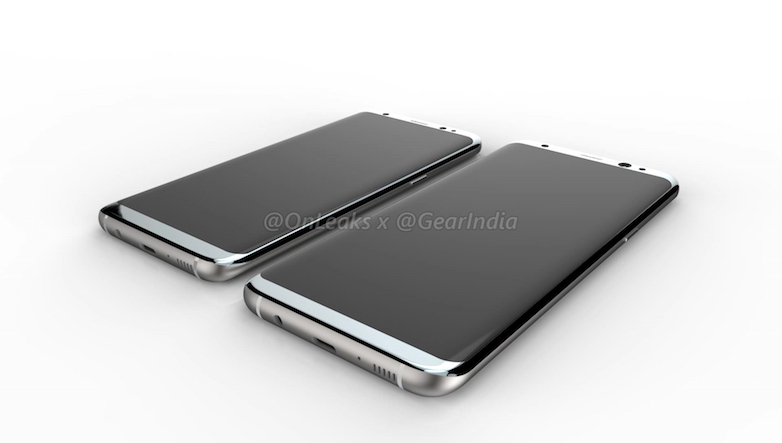 Both devices sport 8GB of RAM and up to 512GB of internal storage, but there will be an edition of the Galaxy S10 Plus which will sport 12GB of RAM and 1TB of internal storage! This is where the Galaxy S10 Plus wins hands down and instantly becomes a more reliable device than its smaller siblings. The S10 Plus packs in an impressive 4,100mAh battery, while the S10 only has a disappointing 3,400mAh battery. Both support fast charging, but at the same speeds as last year's models do. The price difference between the two aren't that much really and are in line with expectations and given the S10 Plus's bigger battery, display and the extra front cam, the S10 Plus definitely wins this battle and we would recommend the S10 Plus over the regular S10 to most people. Galaxy S10 Plus: $999 for 128GB/8GB RAM, $1,099 for 512GB/8GB RAM and $1,199 for 1TB/12GB RAM. Everything else about the two devices are identical though, so you can expect the same tri-camera setup at the back of the two devices, the same Exynos 9820/Qualcomm Snapdragon 855 SoC driving everything from the inside and even a dedicated micro-SD card slot this time around! 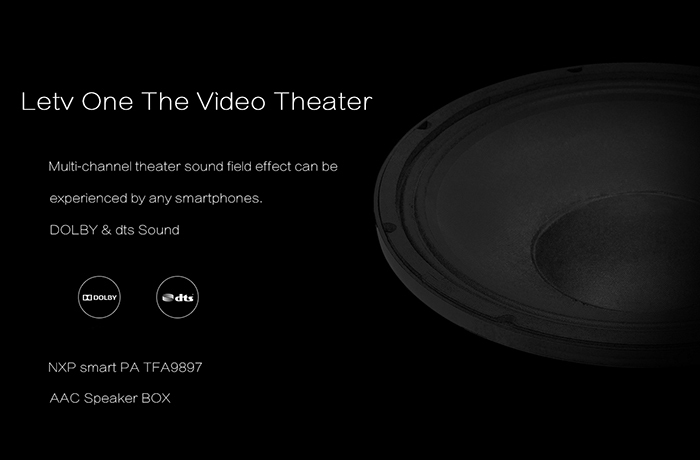 For more details, check out Samsung's official specs page here. Tags: things get ultimate mobile experience get doogee homtom ht6 phablet only $139.99 here's how get google chrome desktop materiel design ntp get letv one x600 mtk helio x10 64bit with 5.5 inch phablet $272.05 only get huawei gra smartphone only 449usd get zgpax s79 bluetooth smartwatch phone $25.74 google android get preview releases before final official release 2015 htc desire eye confirmed get official android 6.0 marshmallow update other htc one family members get lollipop update later than expected htc one desire eye get android 5.1 lollipop update with sense 7.0 htc confirms: one get android 5.1 update with sense august htc desire eye get android 5.0 lollipop starting today htc confirms: one get official android update htc one get officially sense 7.0 with android update instead 5.1.1 lollipop verizon's grandfathered unlimited data plans get $20 increase per month [eta dates] official list confirmed samsung devices get android 6.0 marshmallow updates samsung confirms galaxy ace (sm-g357fz) get android 5.0 lollipop update why beneficial get travel credit card htc one gpe devices get lollipop update this week htc one get sense 7.0 update may 2015 htc one get eye experience with android 4.4.4 kitkat update htc one get sense 6.5 with lollipop 5.0 update late february 2015 want gold-plated samsung galaxy edge? can now get one only $1930! 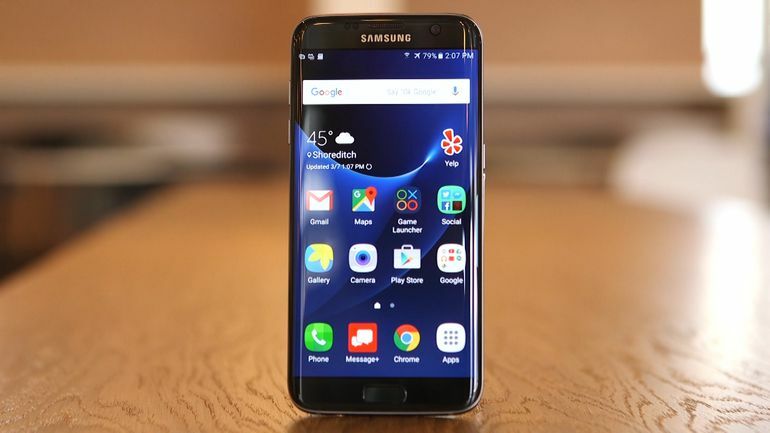 sprint verizon joins buy one samsung galaxy get another free offer south korea first country get android 6.0.1 samsung galaxy edge samsung galaxy note dead: what should get instead? 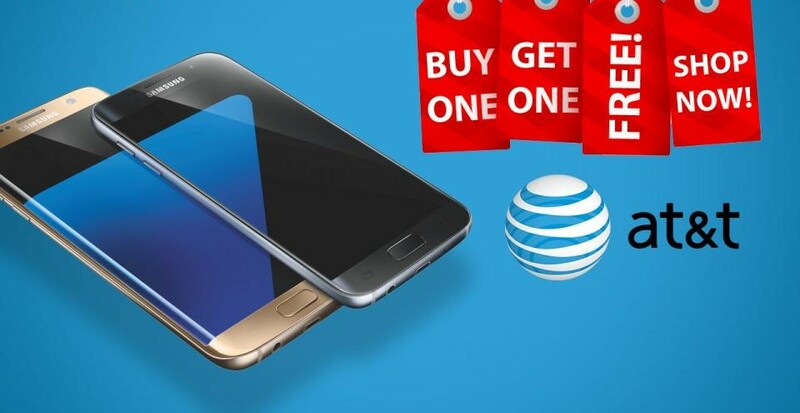 offer get free galaxy with every samsung suhd buy at&t starts buy one get free offer galaxy edge: kind of! galaxy plus may get battery upgrade galaxy pro might get 128gb variants soon buy one get free offer now live t-mobile s8+ samsung launches buy one get free offer galaxy galaxy tab 2016 becomes first samsung device get january patch should get galaxy s10 plus? Do you use Google Maps? If you do, then you must have felt at some point while navigating with its help that it would have been great if the app could direct you to the nearest gas station while en-route to your office. Well, we won't have to wait for that any longer as Google finally adds the ability for a user to add multiple stops while setting a destination in the Google Maps (v9.31) app. What this means is that swinging by that pizza shop or the pharmacy while going back home from work should now be even easier because Google Maps will point you in the right direction and show you more options for you to choose from while setting the waypoints and the destination. The best part is, that there's no limit on the number of stops that you can set in between your starting point and your final destination. In order to add waypoints, set a destination first and then select Add Stop from the overflow menu. Once you have set them, the order in which you want to reach each stop can also be rearranged by holding and dragging the waypoints. The stops themselves will appear as letters of the English alphabet. 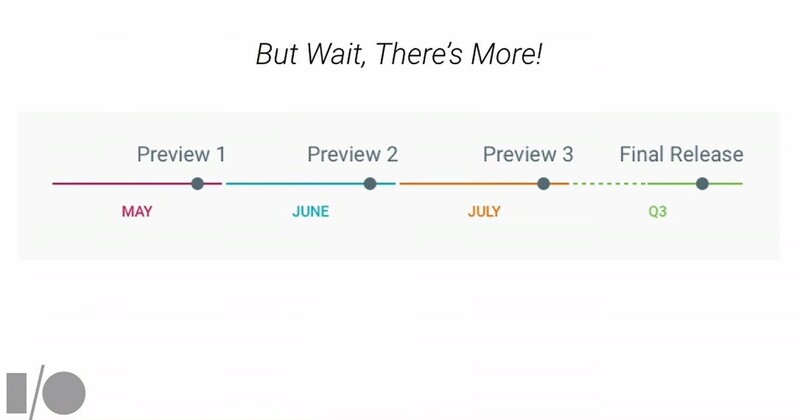 It should be noted though that this feature has been a part of the desktop version for a long time now and it is a bit surprising that it took Google so long to bring it to Android devices. 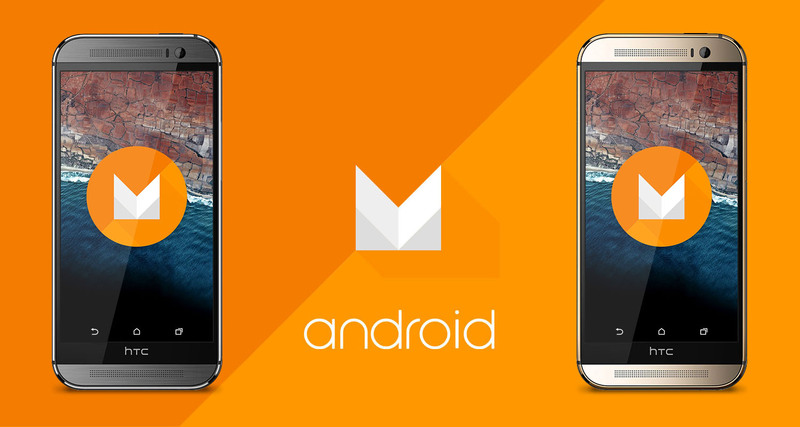 Is your mobile going to get updated to Android 7 Nougat? Now that Android 7.0 Nougat is official and out on certain Nexus devices already, it is only natural to be inquisitive about whether or not your Android device is going to get updated to the latest OS from Google. 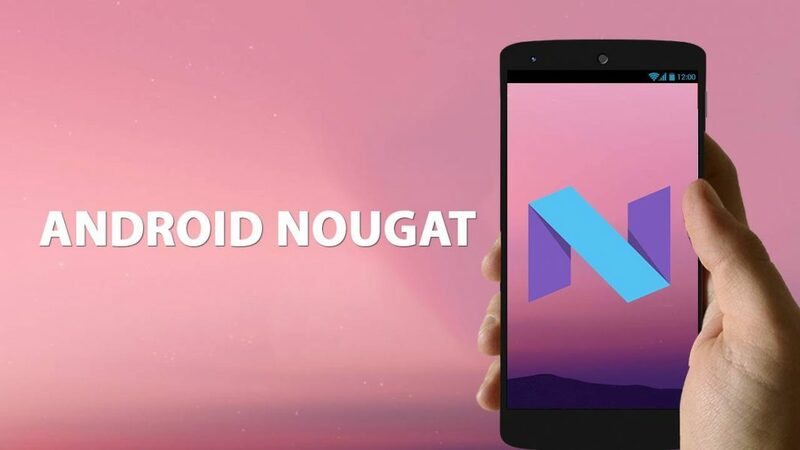 While it would be impossible to predict every smartphone that is going o get the update in the future, we have a list for you today that includes quite a few of the devices that will get official updates to Android Nougat 7.0 or later. 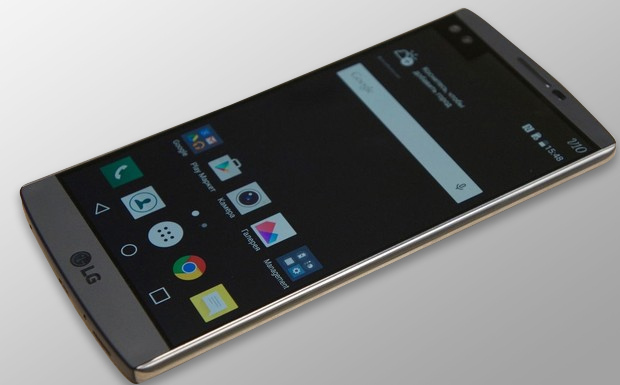 The LG V20 leads the pack as it is going to be the first smartphone to run Android Nougat right out of the box, beating even the likes of the Google Pixel and Pixel XL. 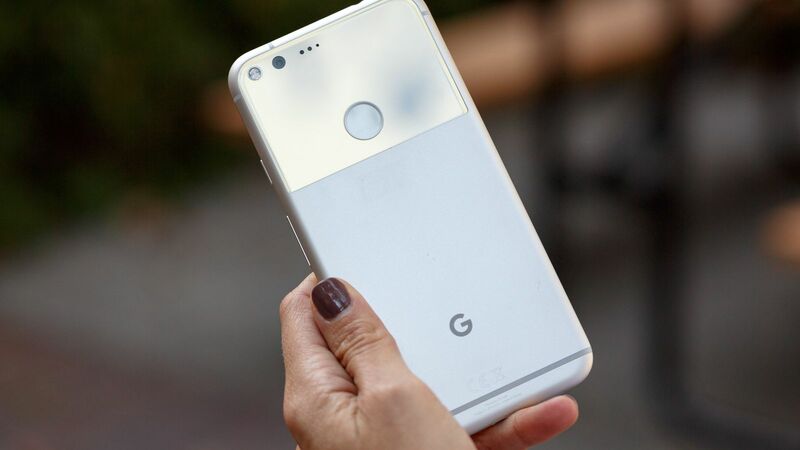 However, there are certain rumors which point out that the two Pixel phones might just be launched with Android 7.1 Nougat, which is going to be the next version of the OS. 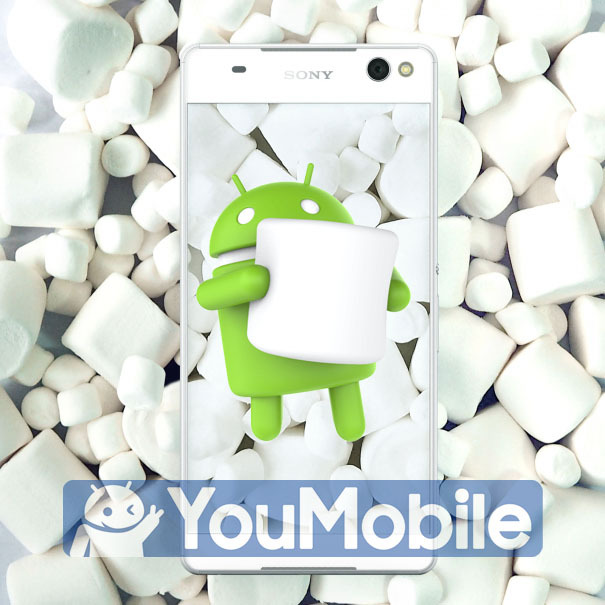 Check below to see if your current or next smartphone made the list. Even if it didn't, if it's a high-end upcoming device, it will probably get Nougat sooner or later. 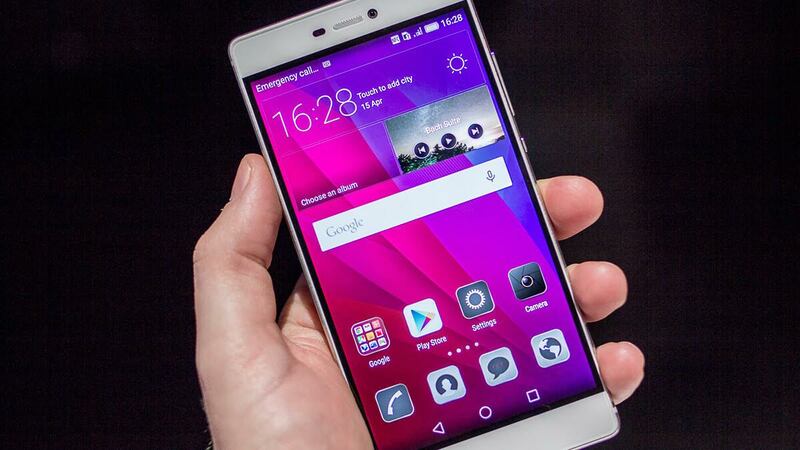 Tags: things get ultimate mobile experience get doogee homtom ht6 phablet only $139.99 here's how get google chrome desktop materiel design ntp get letv one x600 mtk helio x10 64bit with 5.5 inch phablet $272.05 only get huawei gra smartphone only 449usd get zgpax s79 bluetooth smartwatch phone $25.74 google android get preview releases before final official release 2015 htc desire eye confirmed get official android 6.0 marshmallow update other htc one family members get lollipop update later than expected htc one desire eye get android 5.1 lollipop update with sense 7.0 htc confirms: one get android 5.1 update with sense august htc desire eye get android 5.0 lollipop starting today htc confirms: one get official android update htc one get officially sense 7.0 with android update instead 5.1.1 lollipop verizon's grandfathered unlimited data plans get $20 increase per month [eta dates] official list confirmed samsung devices get android 6.0 marshmallow updates samsung confirms galaxy ace (sm-g357fz) get android 5.0 lollipop update why beneficial get travel credit card htc one gpe devices get lollipop update this week htc one get sense 7.0 update may 2015 htc one get eye experience with android 4.4.4 kitkat update htc one get sense 6.5 with lollipop 5.0 update late february 2015 want gold-plated samsung galaxy edge? can now get one only $1930! sprint verizon joins buy one samsung galaxy get another free offer south korea first country get android 6.0.1 samsung galaxy edge samsung galaxy note dead: what should get instead? 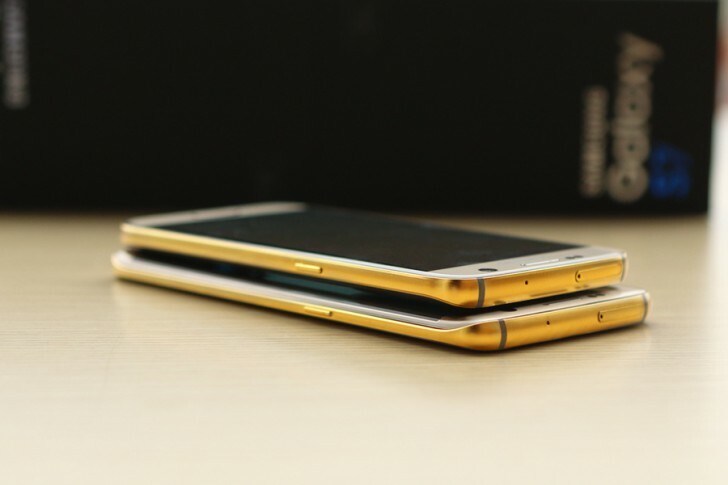 offer get free galaxy with every samsung suhd buy at&t starts buy one get free offer galaxy edge: kind of! galaxy plus may get battery upgrade galaxy pro might get 128gb variants soon buy one get free offer now live t-mobile s8+ samsung launches buy one get free offer galaxy galaxy tab 2016 becomes first samsung device get january patch should get galaxy s10 plus? 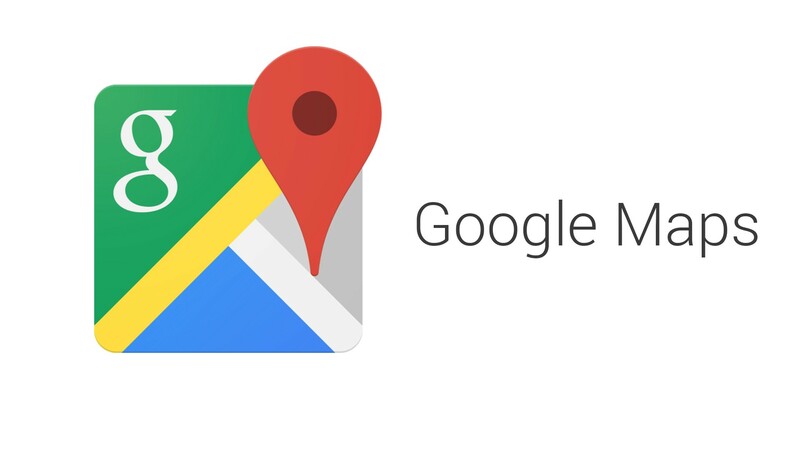 can now get directions multiple destinations google maps your mobile going get updated android nougat? What if your Phone told you which apps you should get rid of? If you have a phone with insufficient internal memory, Uninstall Manager will help you out. 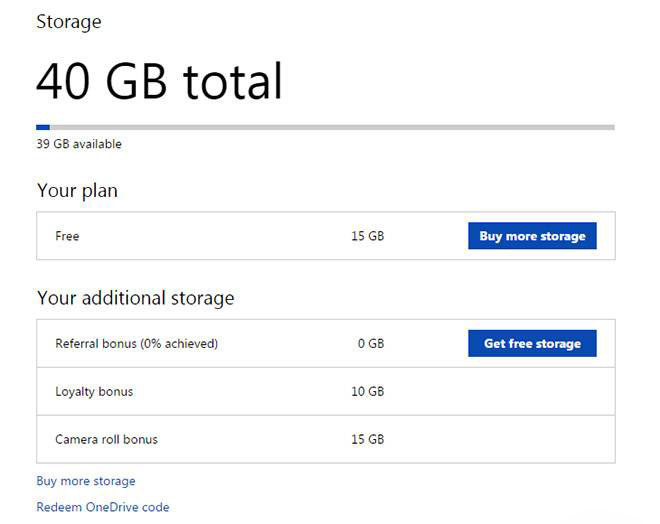 Those of us out there who are still using a smartphone with 8GB or even 4GB internal storage, the struggle for space is a real and constant problem. With games like N.O.V.A. 3 taking up about 2.4GB of space in your phone alone, even 16GB variants may not be enough for power users. This is where Google's new Uninstall Manager comes in. 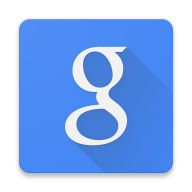 It is a new additional feature that's embedded within the Google Play Store itself. 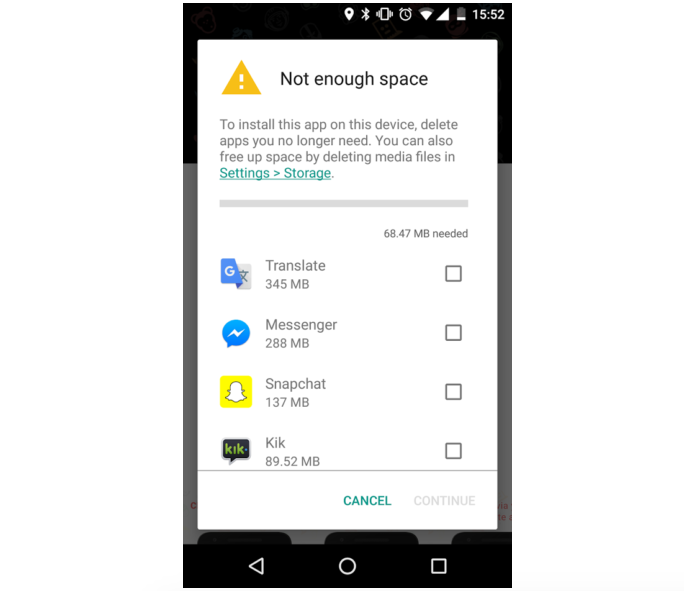 It tries to help you find more space by simply suggesting applications which you can uninstall in order to make room for the new one that you are trying to install. Android Police further reports that the user will see a popup menu within the Play Store which will show all the uninstall suggestions, along with the size of the installed files and the amount of space you are currently lacking for the new application to be installed on your phone. 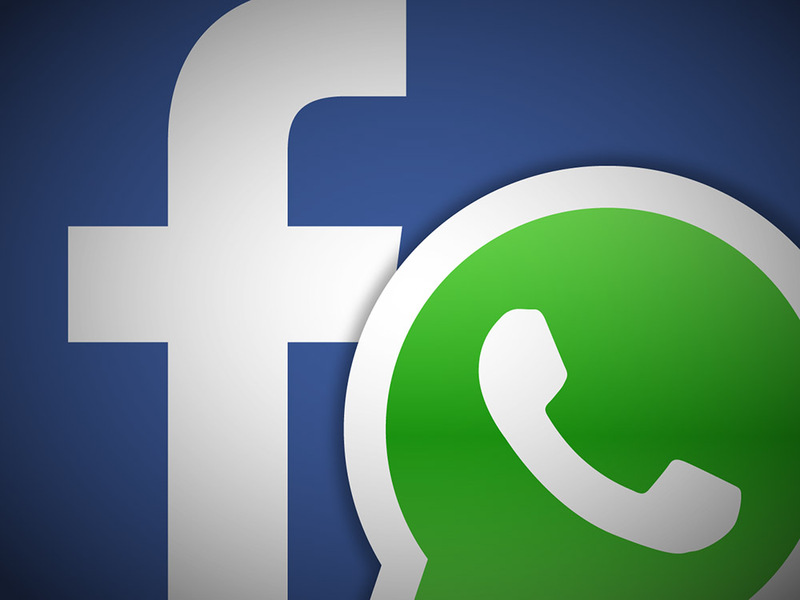 The suggestions are of course, based on the usage statistics data of the consumer and therefore they will consist of apps that you rarely or never use. In order to get the Uninstall Manager on your system, you don't need to download anything, just update the Play Store to its latest version and you are all set. 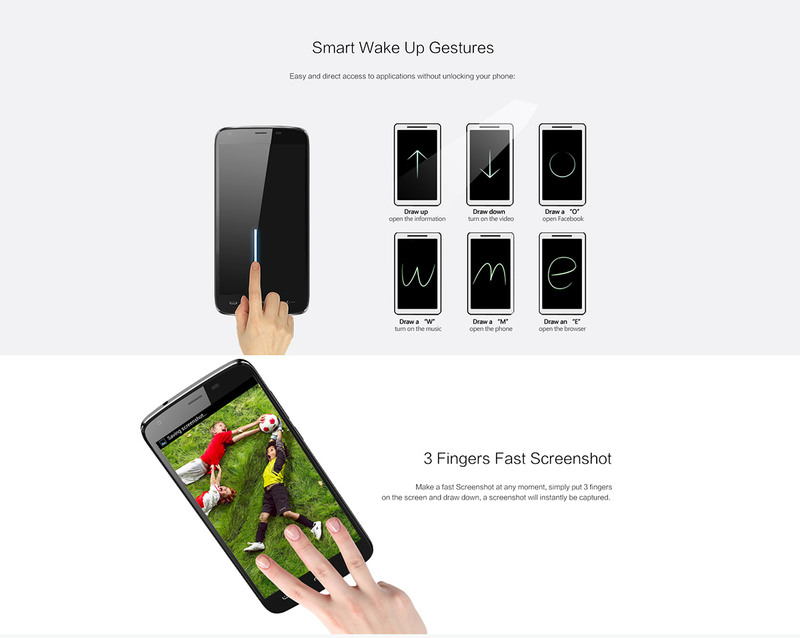 Tags: things get ultimate mobile experience get doogee homtom ht6 phablet only $139.99 here's how get google chrome desktop materiel design ntp get letv one x600 mtk helio x10 64bit with 5.5 inch phablet $272.05 only get huawei gra smartphone only 449usd get zgpax s79 bluetooth smartwatch phone $25.74 google android get preview releases before final official release 2015 htc desire eye confirmed get official android 6.0 marshmallow update other htc one family members get lollipop update later than expected htc one desire eye get android 5.1 lollipop update with sense 7.0 htc confirms: one get android 5.1 update with sense august htc desire eye get android 5.0 lollipop starting today htc confirms: one get official android update htc one get officially sense 7.0 with android update instead 5.1.1 lollipop verizon's grandfathered unlimited data plans get $20 increase per month [eta dates] official list confirmed samsung devices get android 6.0 marshmallow updates samsung confirms galaxy ace (sm-g357fz) get android 5.0 lollipop update why beneficial get travel credit card htc one gpe devices get lollipop update this week htc one get sense 7.0 update may 2015 htc one get eye experience with android 4.4.4 kitkat update htc one get sense 6.5 with lollipop 5.0 update late february 2015 want gold-plated samsung galaxy edge? can now get one only $1930! 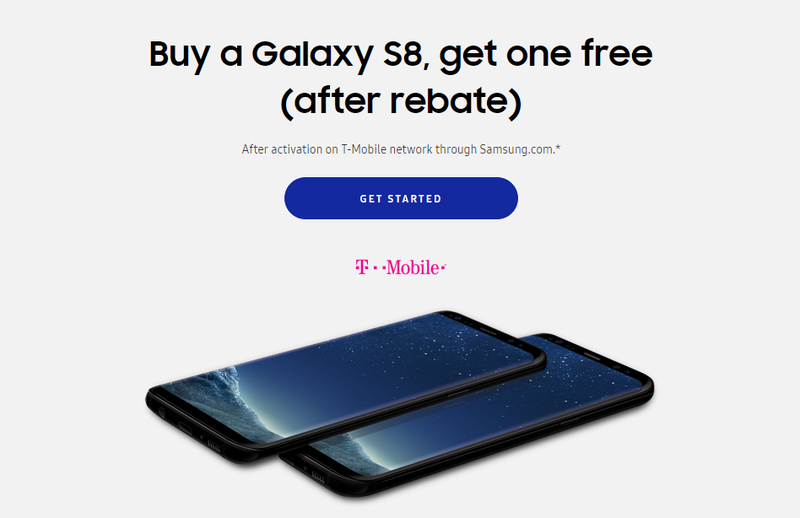 sprint verizon joins buy one samsung galaxy get another free offer south korea first country get android 6.0.1 samsung galaxy edge samsung galaxy note dead: what should get instead? 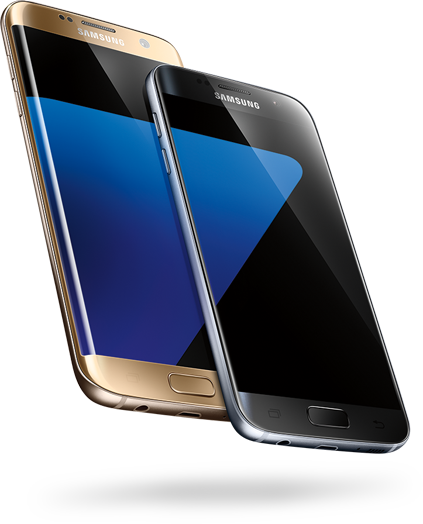 offer get free galaxy with every samsung suhd buy at&t starts buy one get free offer galaxy edge: kind of! galaxy plus may get battery upgrade galaxy pro might get 128gb variants soon buy one get free offer now live t-mobile s8+ samsung launches buy one get free offer galaxy galaxy tab 2016 becomes first samsung device get january patch should get galaxy s10 plus? 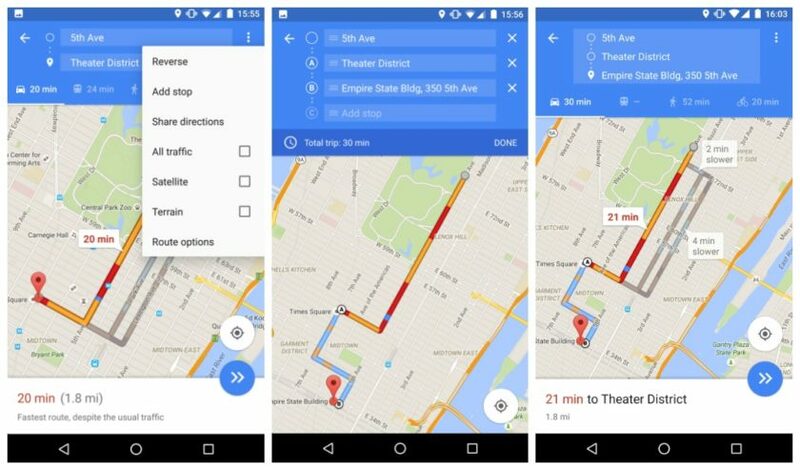 can now get directions multiple destinations google maps your mobile going get updated android nougat? what your phone told which apps should get rid of? 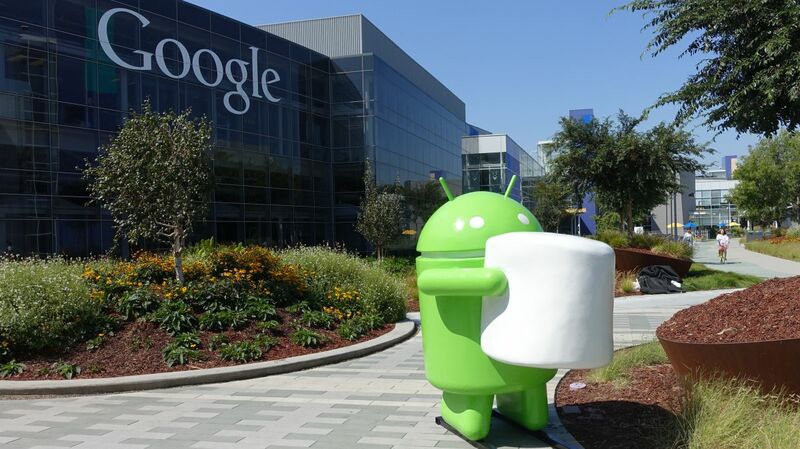 Google released a new Android L Developer Preivew. 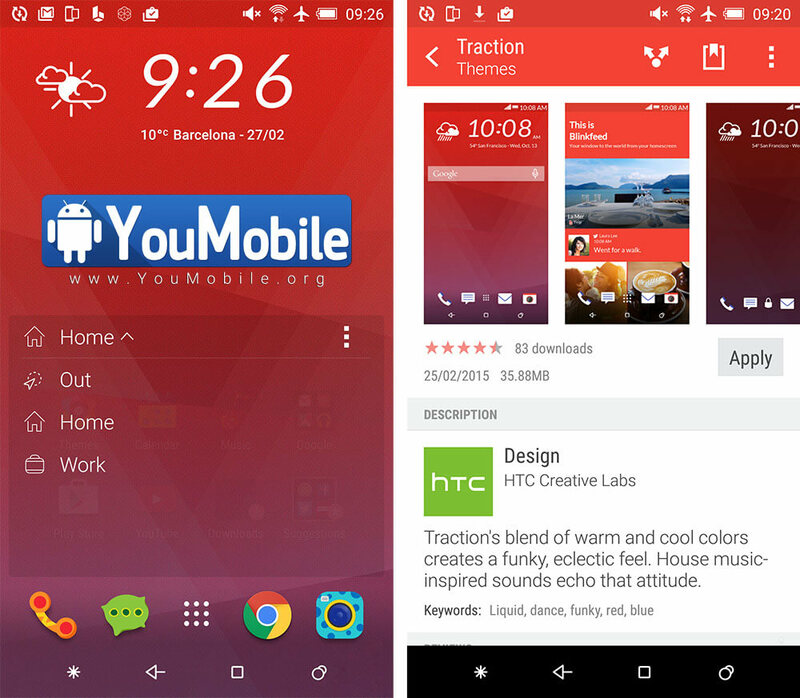 We got some new Apps from it the Google Search 4.0 and the Google Now Launcher 1.1.1. 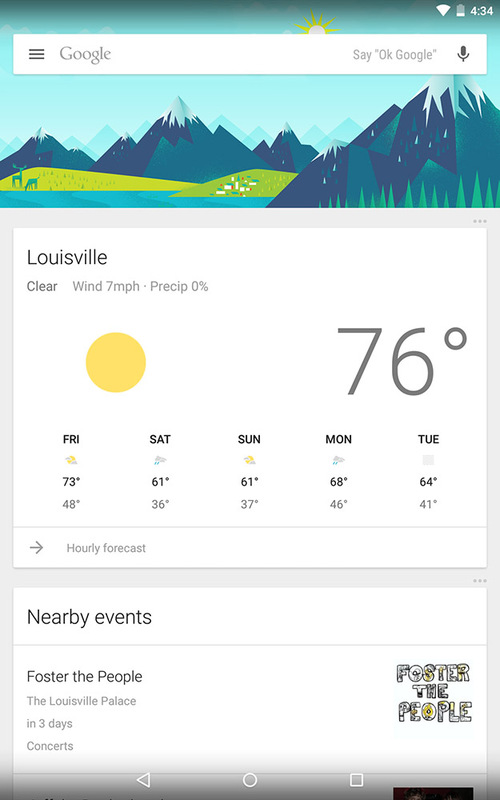 The first thing you'll undoubtedly notice in the revised Search app is the lighter, cleaner cards. Every card we've seen so far has received a refreshed design that lends more white space, cleaner iconography and typography, and a more pleasant look to whatever content it's presenting. The next thing you may notice is the hamburger icon embedded in the search bar. We saw this way back at Google I/O this summer, but until now we never got to see what was inside. Inside the drawer are shortcuts to reminders, customization, and the typical settings and help shortcuts. 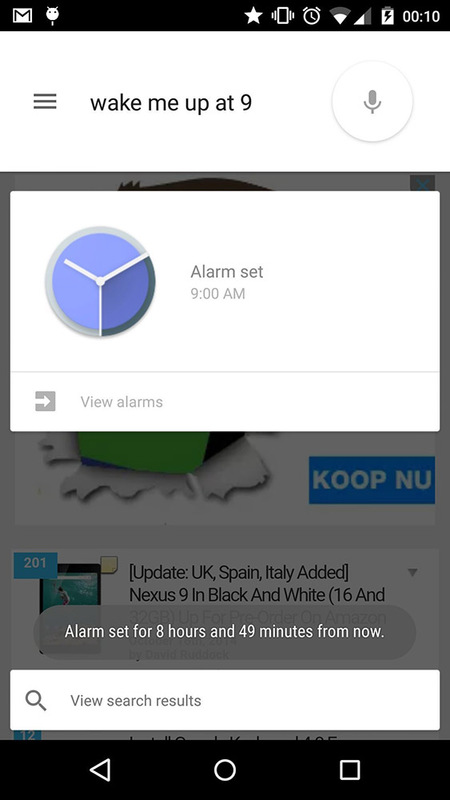 The reminders icon has also been brought into line with Google's new spec for interface icons. 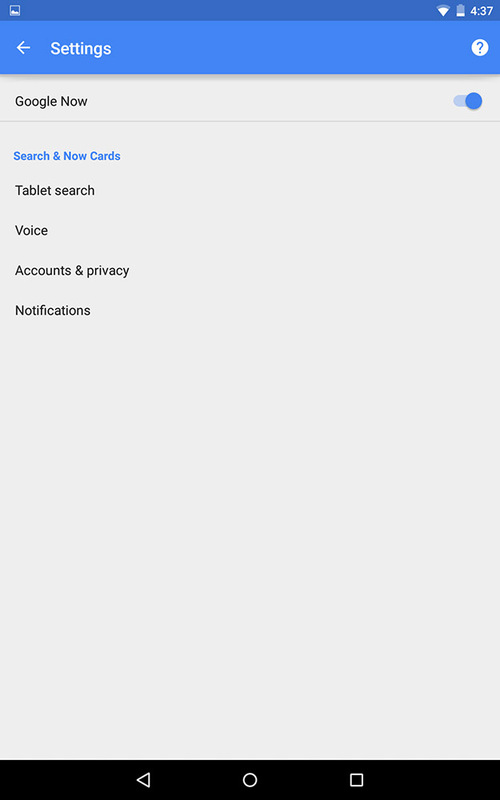 The hamburger also includes an account picker for switching between your Google accounts. The Settings menu isn't left out of the redesign, the screen has the new material toggles and checkboxes to adjust all the same things you can in the current app. 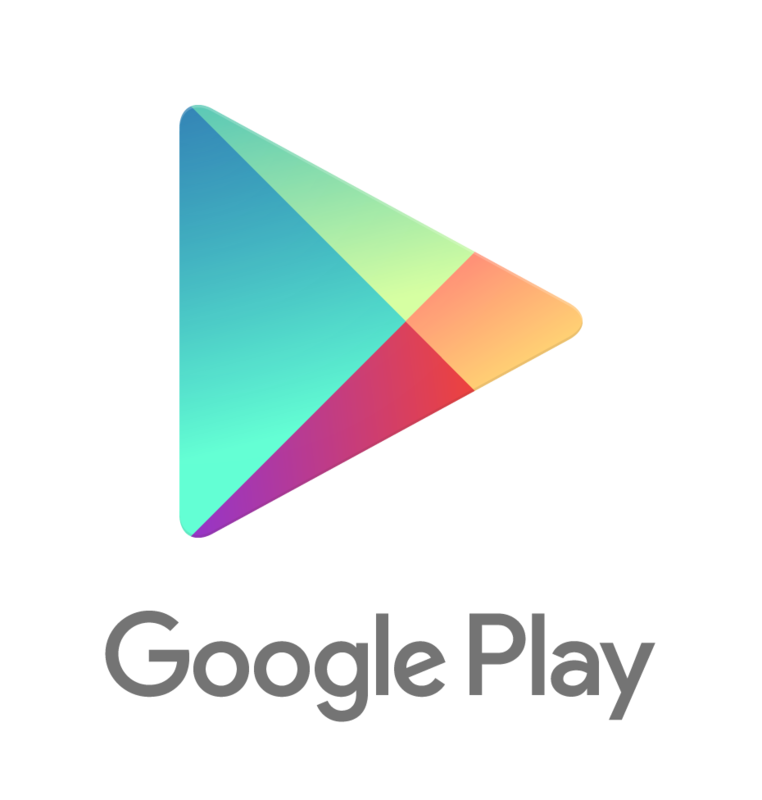 - Download the Search APK, Google Now Launcher APK, and the hotword .so file linked below. - Install the Search and Launcher APKs. At this point they'll be crashy, because they rely on the hotword file, which itself is not packaged with either APK. - Back up your current libgoogle_hotword_jni.so file (found in /system/lib) and replace with the file linked below using a file explorer of your choice. Be sure permissions are set to "rw-r--r--". If the latest report by Bloomberg turns out to be true, then Qualcomm is probably devising a strategy to put an import ban on iPhones manufactured by Apple outside the country. The United States International Trade Commission will likely be appealed by the chip manufacturer to put the ban in effect against the Cupertino giant. Whether or not they will actually try to do that remains to be seen. Also, it would be interesting to see how the Trade Commission reacts to the appeal, if Qualcomm does indeed decide to go ahead with it. Why they would take such a step you ask? The answer isn't "to benefit the US economy," that much I can assure you! It's just a possible strategic move by the microchip manufacturer to strengthen their position in the ongoing legal battle that's currently going on in-between the two companies. 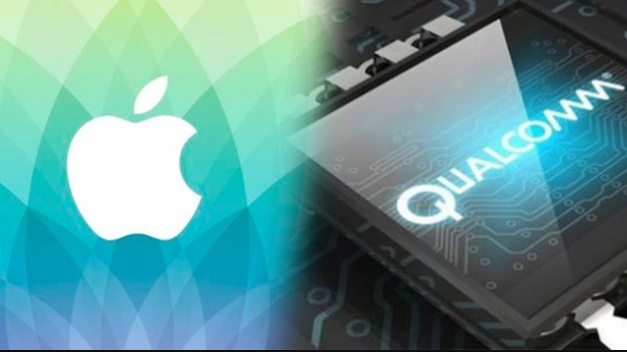 Qualcomm is losing out billions of dollars because Apple has stopped paying licensing fees to Qualcomm, after citing that Qualcomm is charging exorbitant and unfair amounts of money for legacy technology. It looks like Qualcomm is trying to put some pressure back on Apple. Starting the work on your Mac by closing the annoying tabs that pop up automatically every time you run the system is not an enjoyable routine. If we can prevent items from taking our time, why not do that now? When you install any software without paying too much attention to terms and conditions that come with the product you may accidentally or purposely skip the tab where the program will ask you about a startup feature. Nobody has time to read all the instruction, and it's understandable why this nagging issue is so widespread. If you don't have the time to read all of those minuscule font texts, then you possibly don't have free minutes to spend on app closing. To solve this little problem you will have to dedicate a bit of your time, but the effect will be felt right off the bat. Spend five minutes today to save accumulative hours of your future. Time is not the only thing that we lose while dealing with startup items. We sacrifice performance levels of our Mac as well because booted apps certainly don't make your aluminum friend any faster and cutting down the appearance of unceremonious programs will help him open the tabs and folders that you need much faster! To address the issue, you would have to dive into system preferences and find your username in the users and groups section. 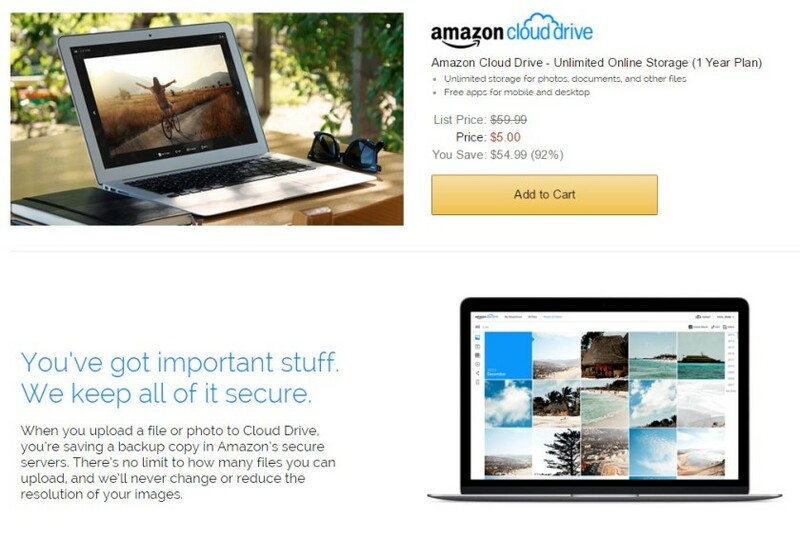 Once there you should click on the Login Items tab to find out what exactly is booting automatically on your Mac. Untick as you like, all the apps are now under your control. It's not rocket science, navigating through preferences and dealing with login items is a piece of cake. Just deleting the apps won't help you out to cut down the dead weight from your system, as things stay where they were with a broken link. The command stays put, Mac searches for the item that doesn't exist anymore. Not ideal for all sides involved, efficiency goes out in the window. That's why you need to fix the situation carefully, and a radical approach will only aggravate a headache and confuse your Mac. Instead of outright deleting the item, try interacting with it, a civil way of resolving conflicts works with machines too! Hotkeys could be used in this scenario too. By pressing "Command", "Shift" and "G" in the new finder window, you will trigger a directory path to the library and startup items. After executing this maneuver, you could move the objects to other places and restart the OS X. This way you will have some flexibility to your moves, giving yourself a chance to come back to the default settings and preferences. This is a good alternative for dealing with apps and software that was installed without your permission. You may not be sure if you need any of those programs in the future, storing them in the Mac equivalent of the purgatory would work just fine. You can get more info about this method by following this link. You can also use other apps to fix the problem. Sometimes one hand washes the other in the technology world! Think about it, and same "species" would have more probability and chances to find common ground. If you struggled to find your way with startups, then you can call the enforcer to spare you in this dirty work. Your job here is done, and you can come back to your work with a clear Mac and conscience.